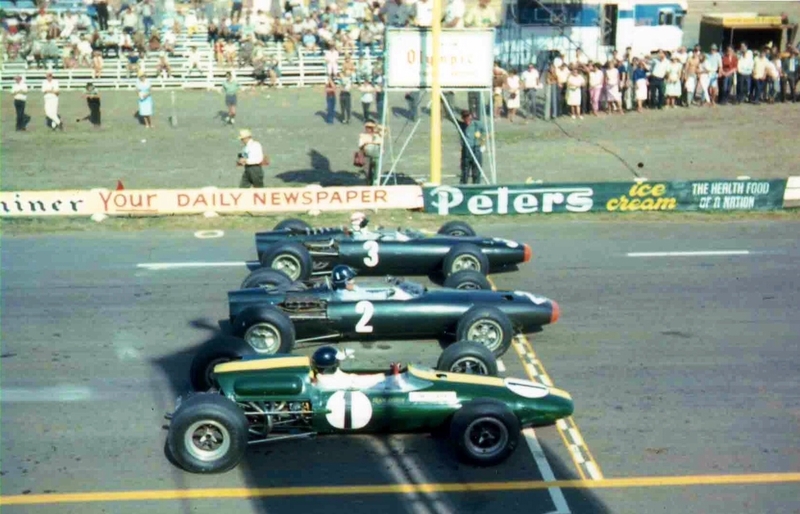 When I was a youngster here in Australia it was ‘Sports Car World’ for fast road cars, the monthly letter from noted NZ born but global motoring journo, Eoin Young on the European and American racing scene was not to be missed nor the column of Romsey Quints, a crusty curmudgeon who wrote about ye olde days. 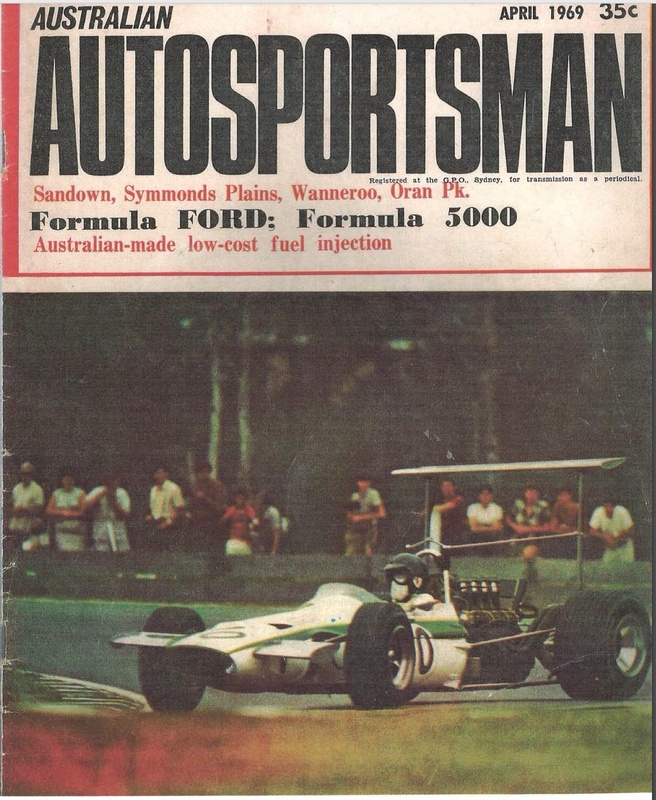 And for racing it was ‘Racing Car News’ supplemented by the global giant ‘Autosport’ which required a tram trip into the big smoke as it wasn’t carried by my local newsagent. 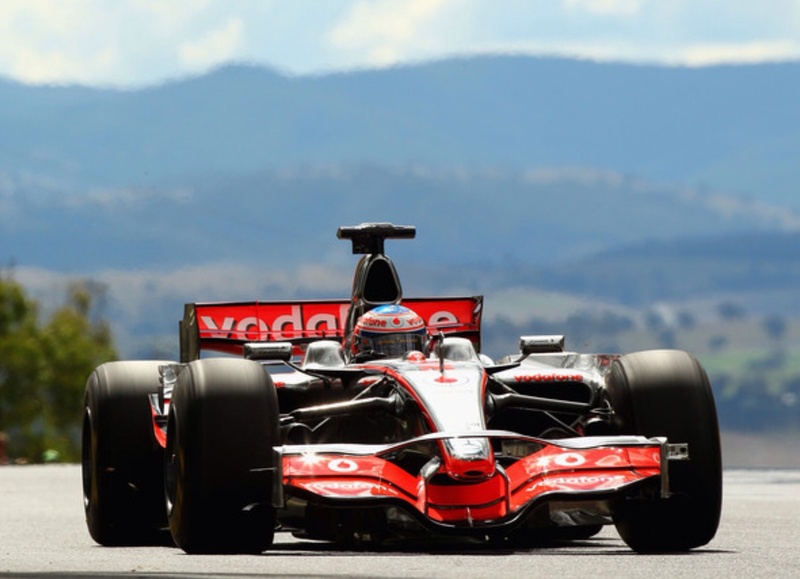 RCN was the bible tho. It was national, maybe a bit Sydney centric, edited and owned by Max Stahl, an ex-racer who knew everybody from clubbies to visiting World Champions in Australia annually for the Tasman Series. 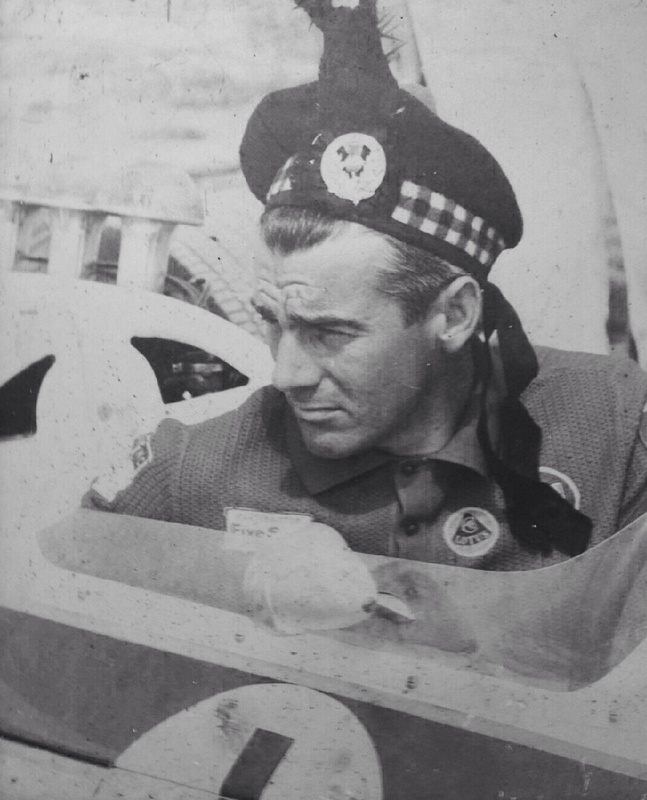 It was chock full of local to global news and events with ‘Stringers’ all over the place making its coverage remarkable at the time. 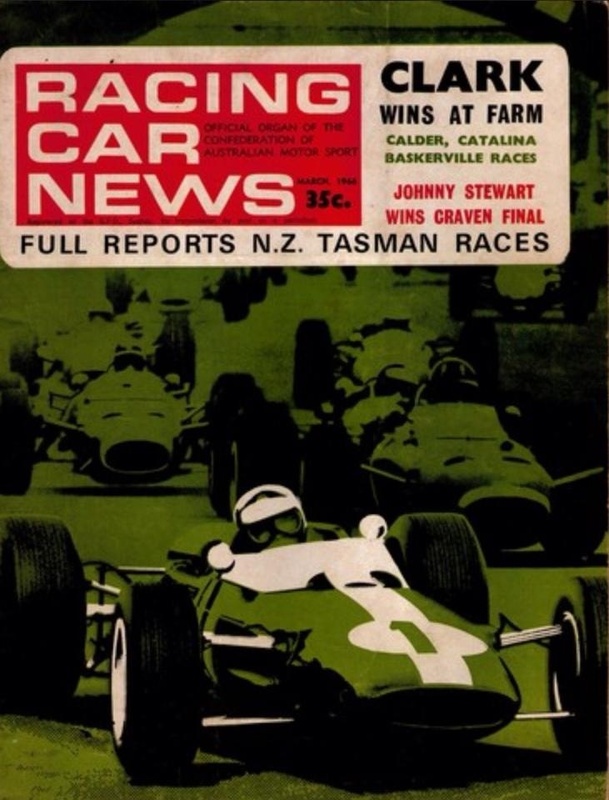 Delivery of information digitally takes the sense of excitement out of the visits to the newsagent eagerly anticipating these monthly publications arrival instore…having said that the ‘democratisation of the media’ means even ‘Schleppers’ like me can ‘have a go’. 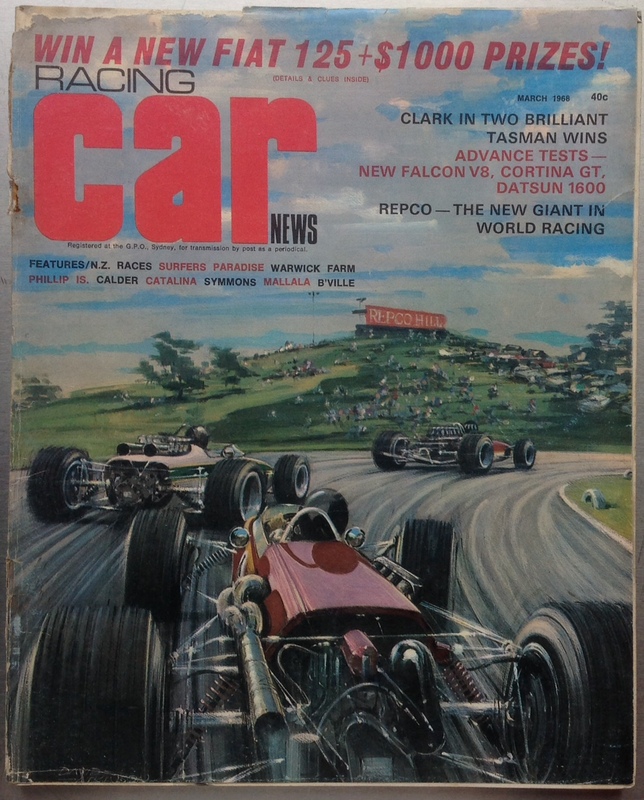 There was not a page of RCN to be missed from Stahls’ editorial upfront to the classifieds up ze back, the paintings by David Atkinson, Colin Anderson and others reason alone to buy the thing. 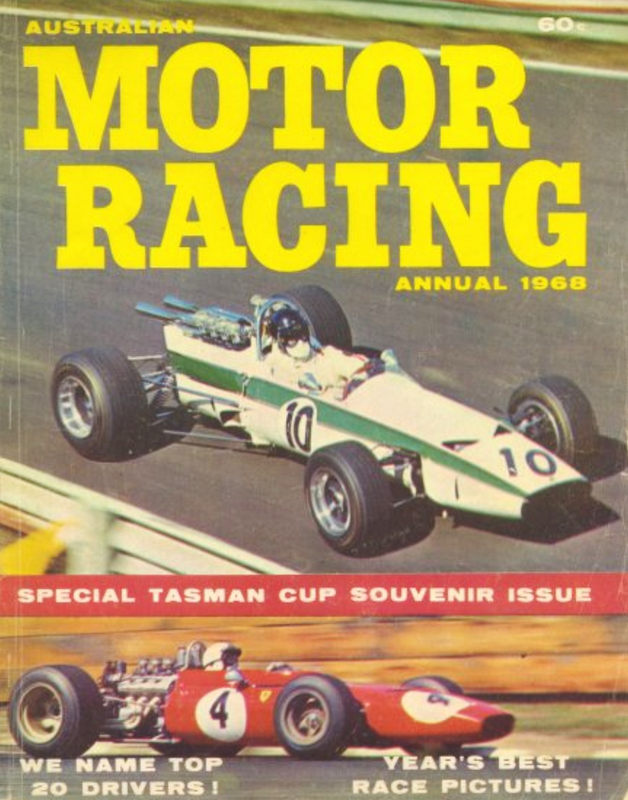 This cover by David Atkinson captures the action of the 11 February 1968 Tasman Series Round at Surfers Paradise. 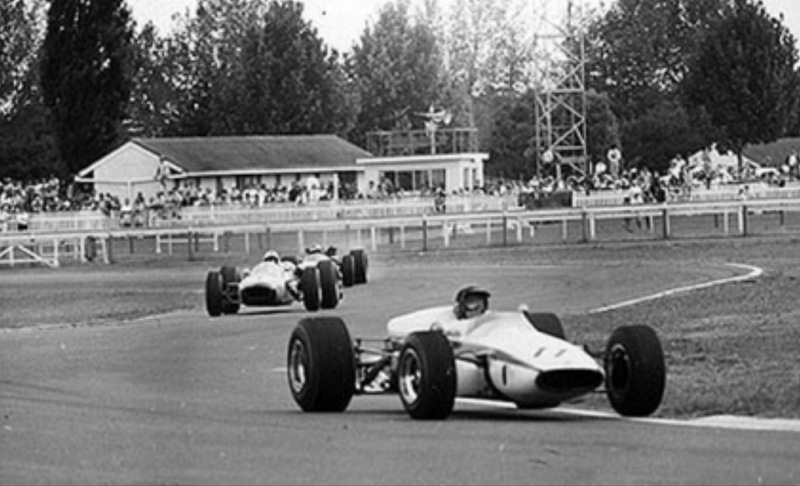 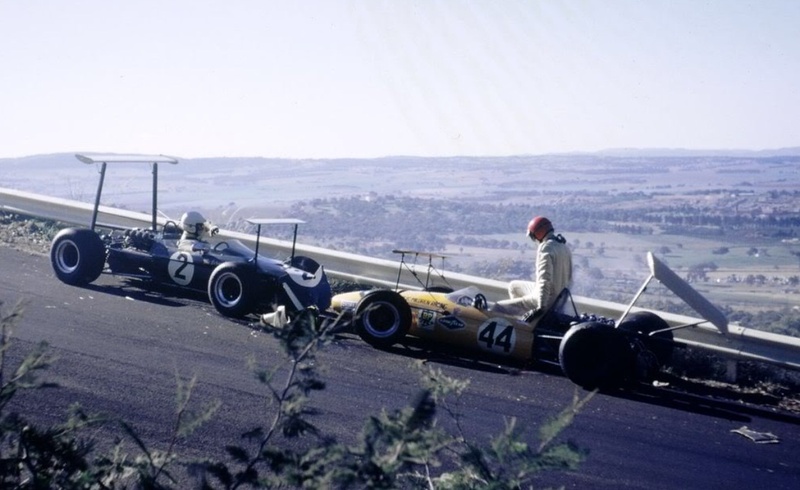 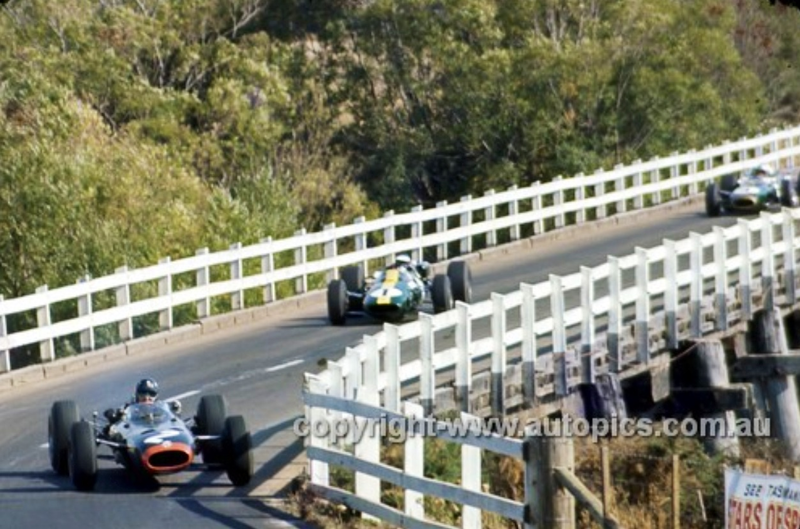 It depicts Graham Hills’ Lotus 49 DFW leading Leo Geoghegans’ ex Clark Lotus 39 Repco from the Piers Courage McLaren M4A FVA around the ‘Repco Hill’ section of the circuit. 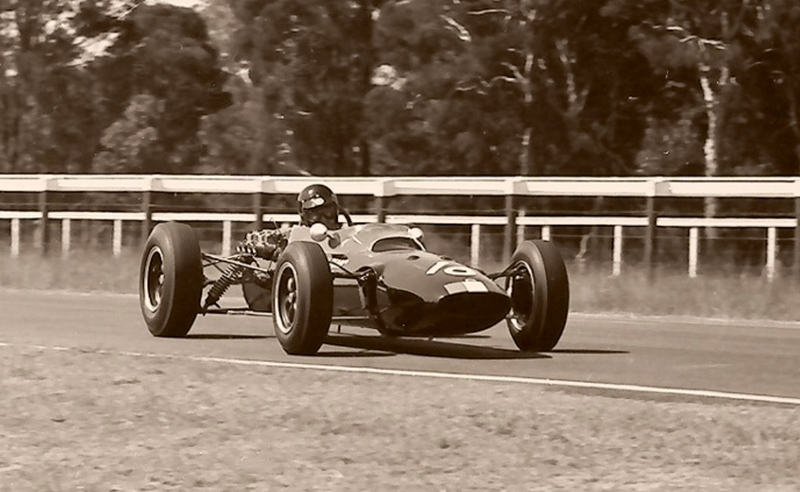 Clark won the race from teammate Hill, Courage in second, a great performance on this power circuit in the little 1.6 litre Ford FVA engined M4A and Leo G, first local home in third place. 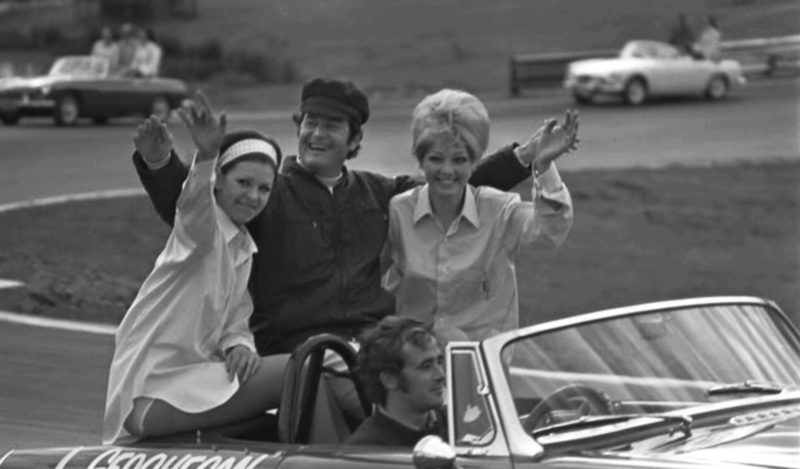 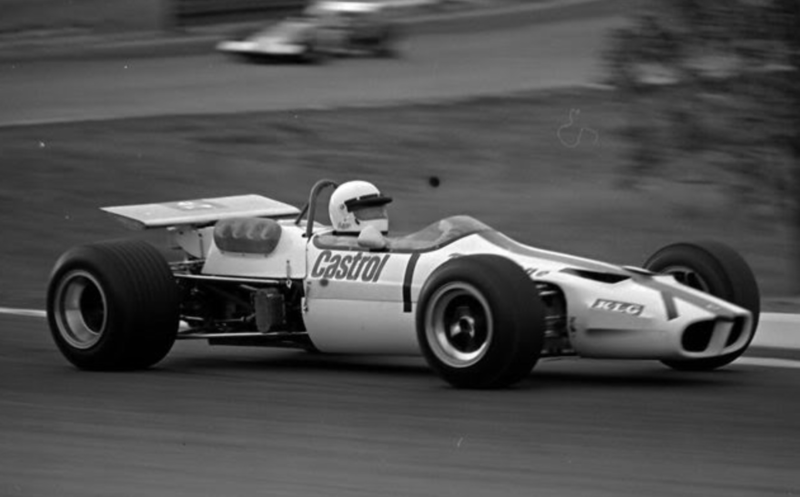 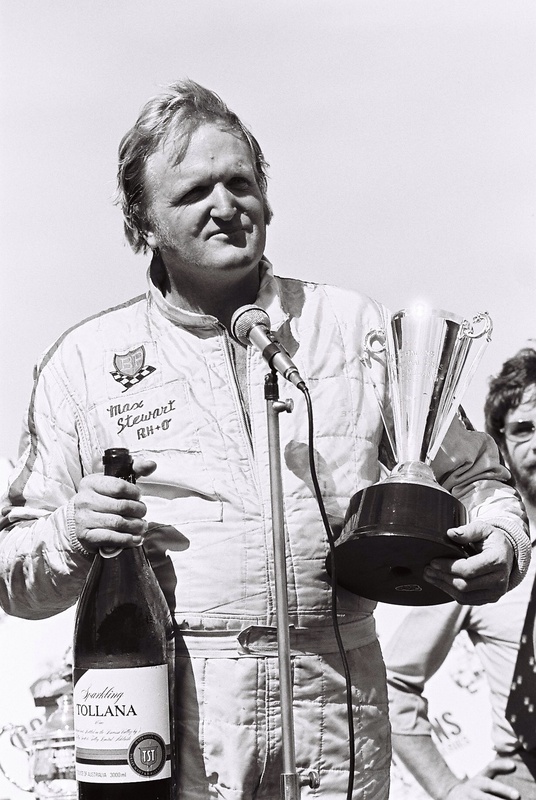 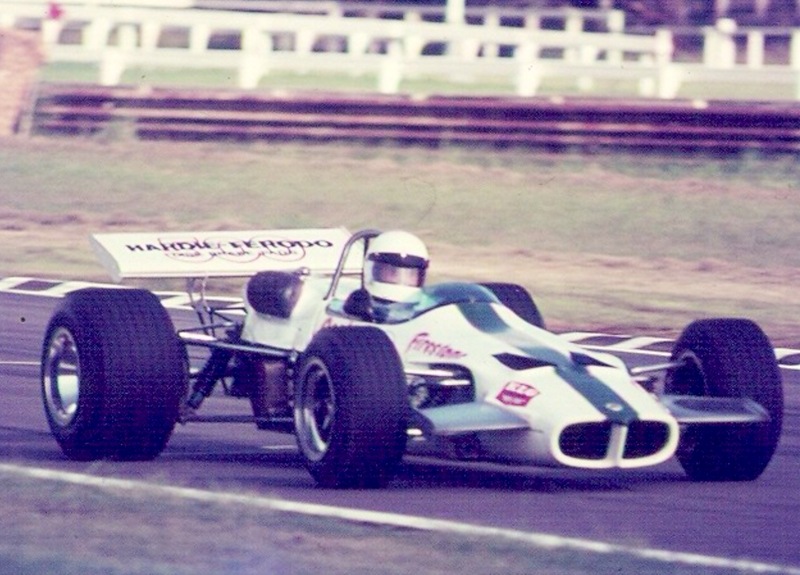 Leo Geoghegan victorious in the 1969 JAF (Japan Automobile Federation) Grand Prix. 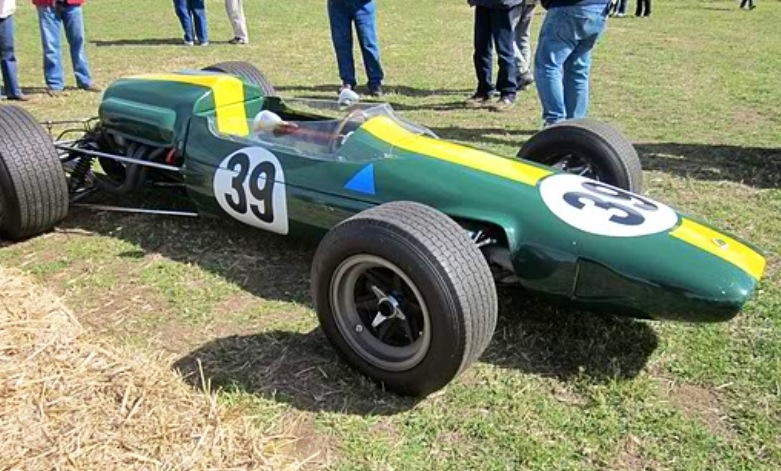 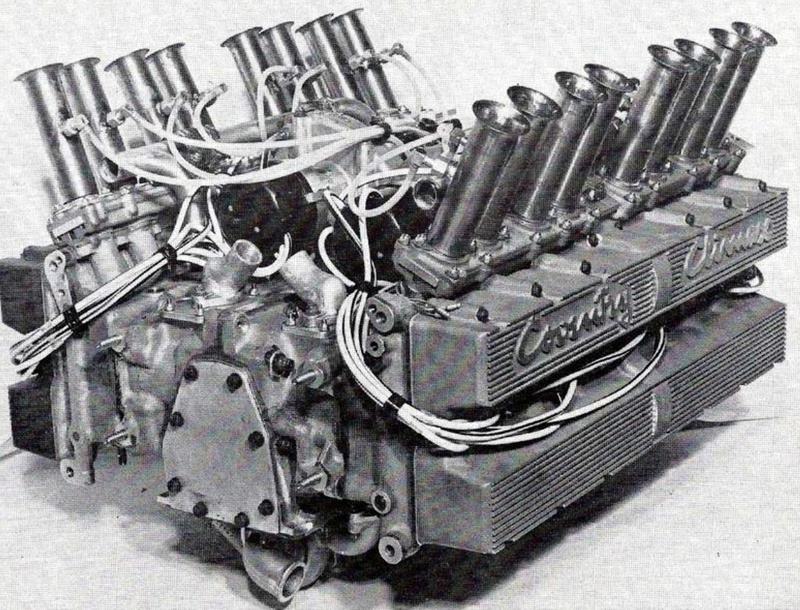 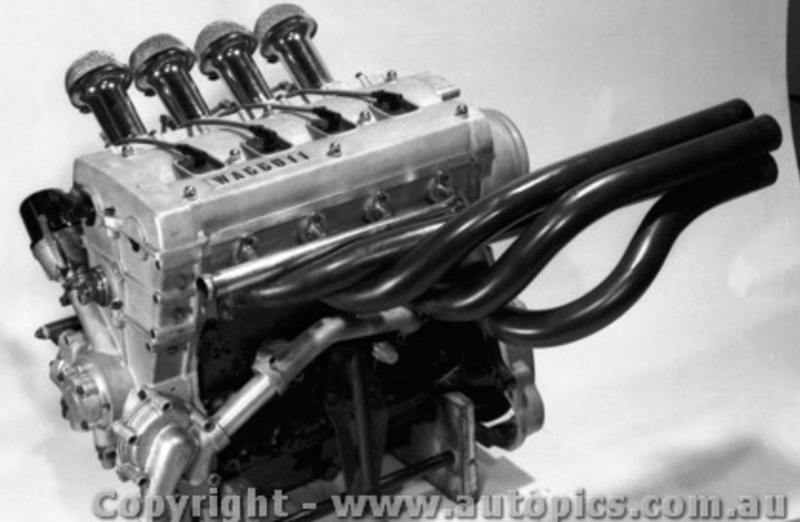 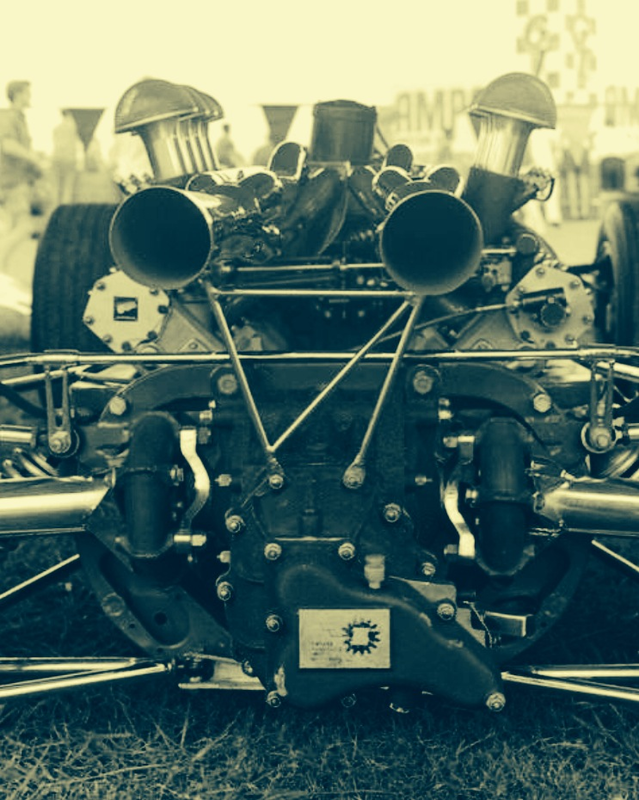 Lotus 39 Repco. 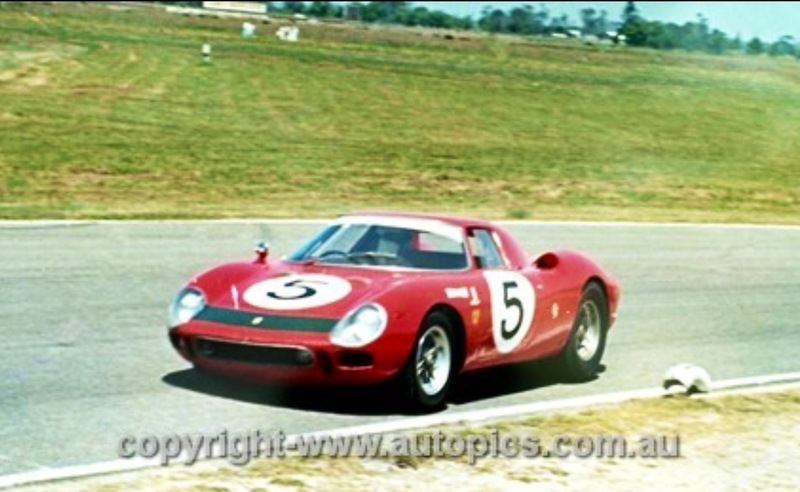 Leo won the Australian GT Championship in 1960, (Lotus Elite) the Australian Formula Junior Championship in 1963 (Lotus 22 ) the Australian Drivers Championship, the coveted Gold Star in 1970 in Lotus 59 Waggott and the AF2 Championship in Birranas’ 273 and 274 in 1973 and 1974. 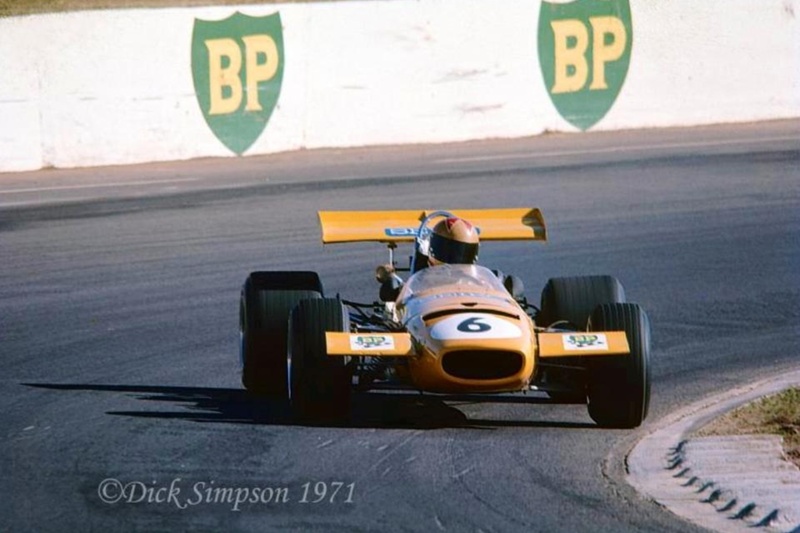 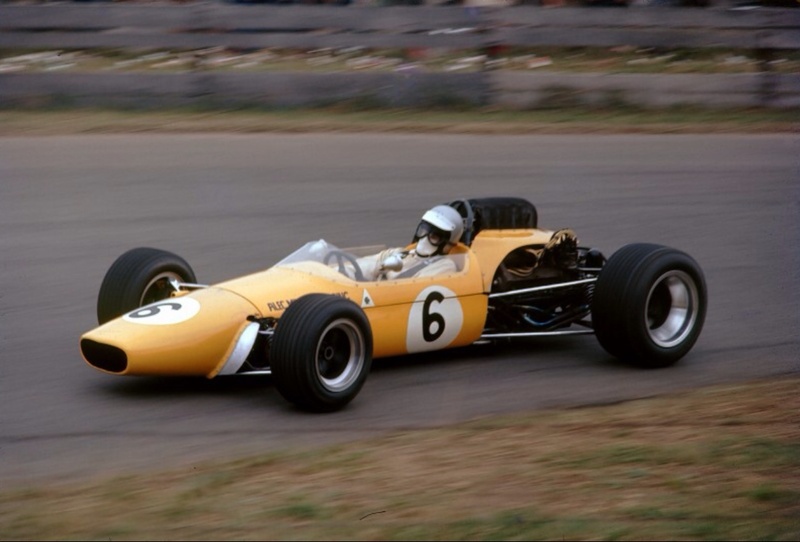 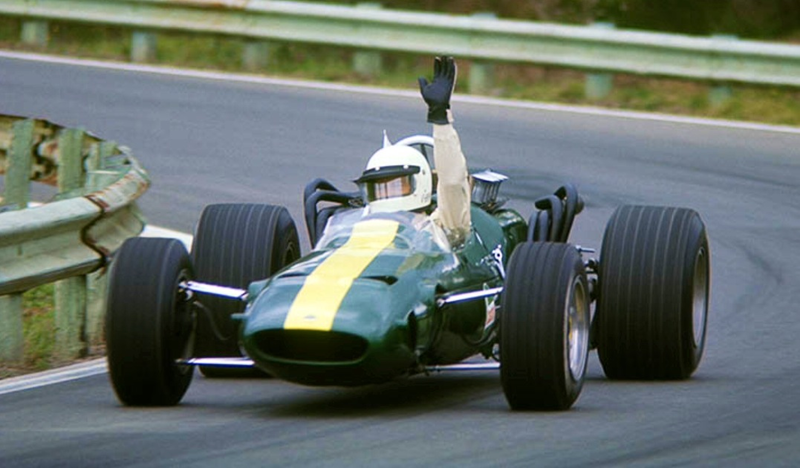 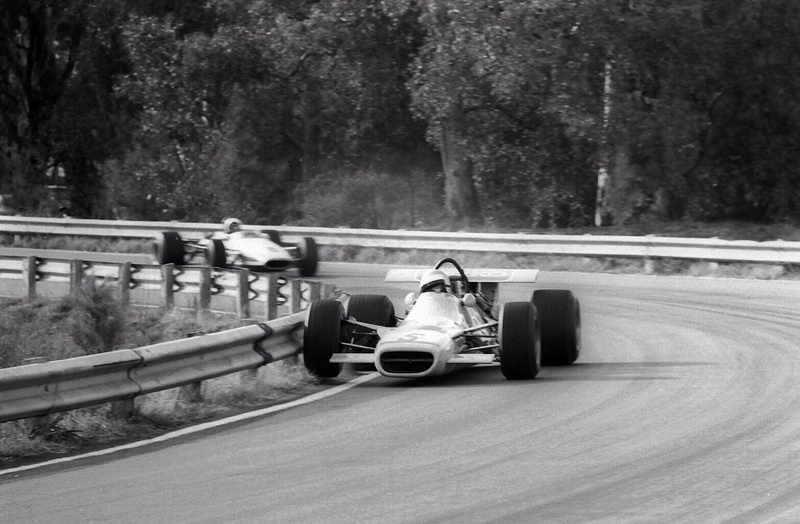 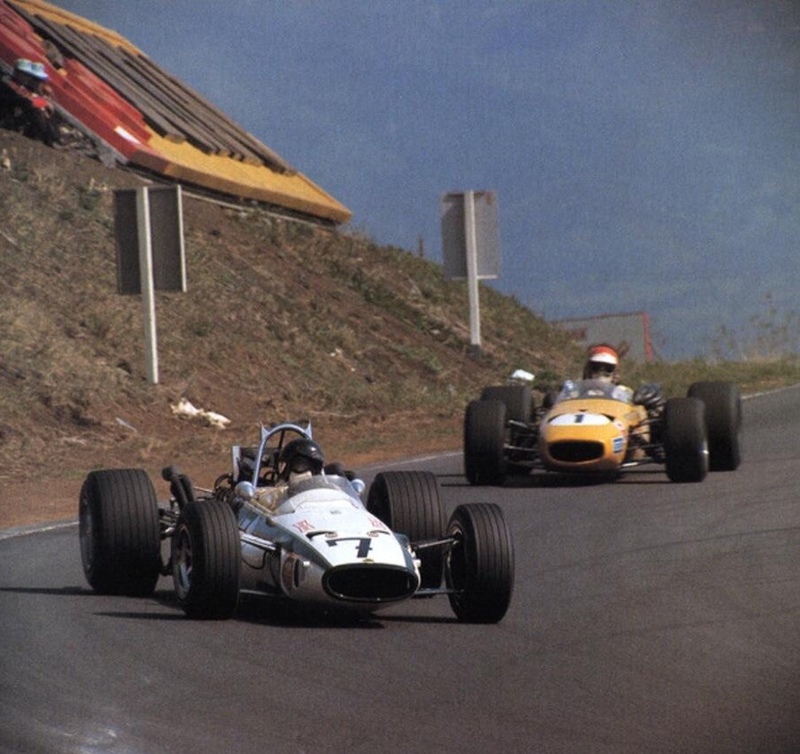 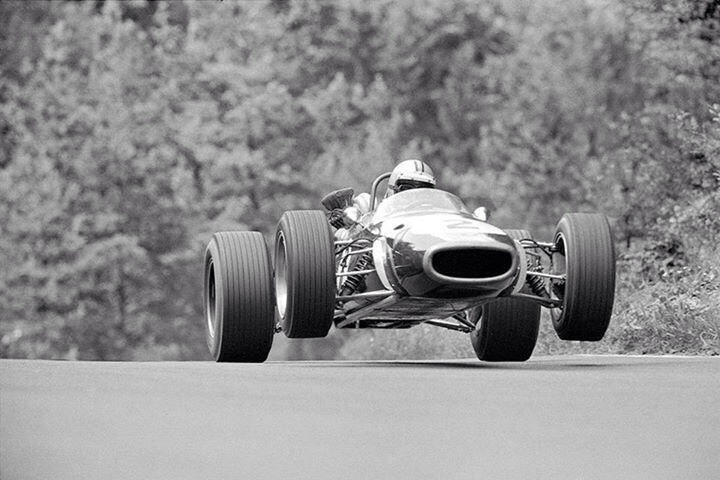 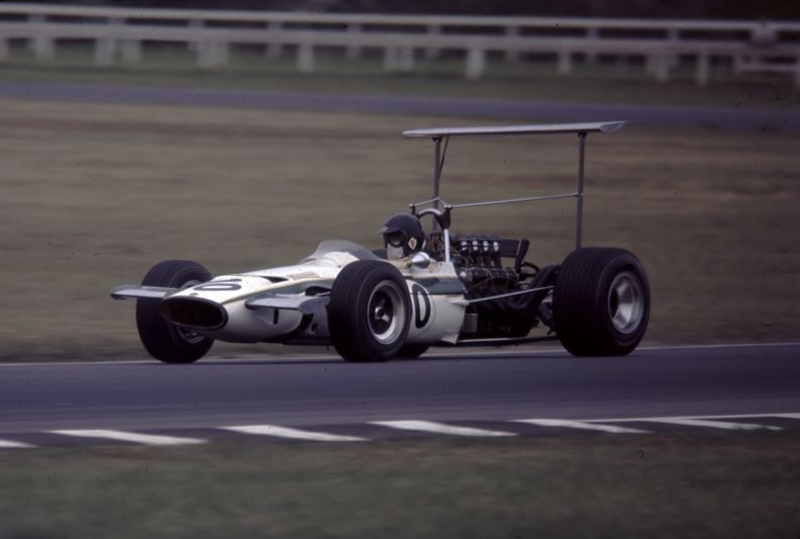 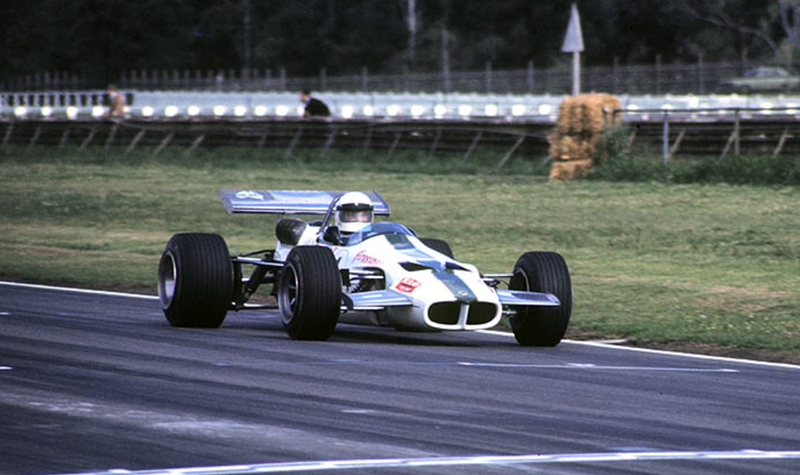 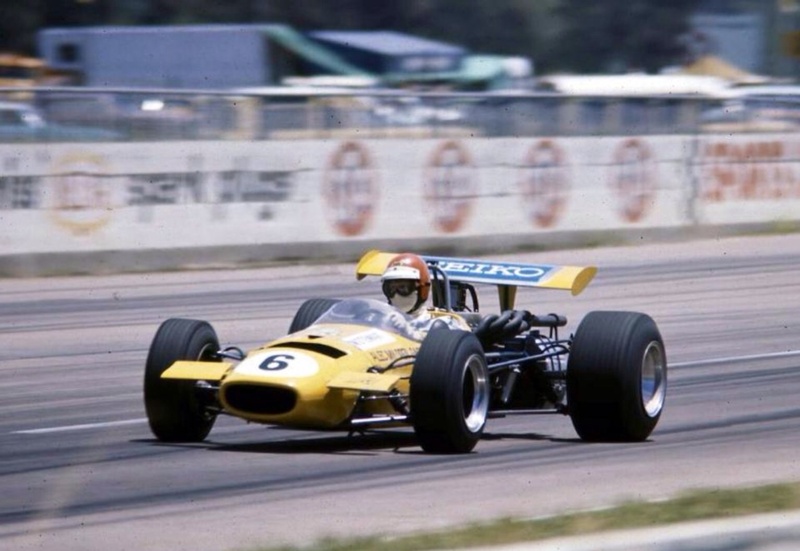 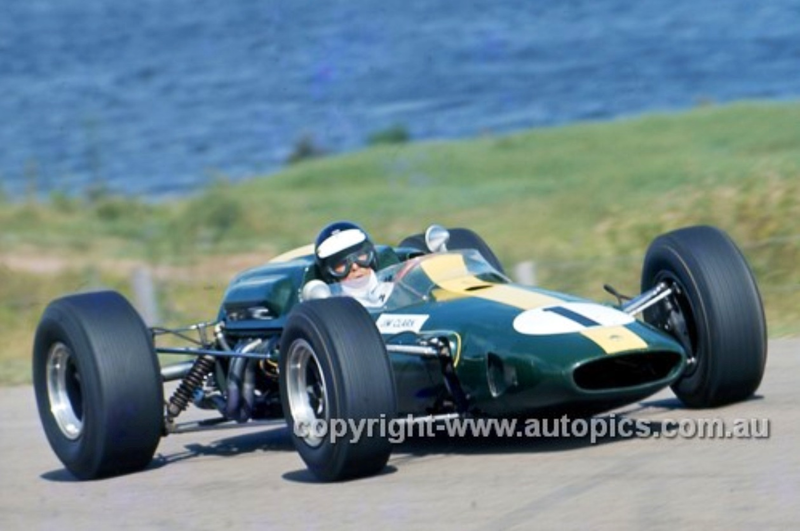 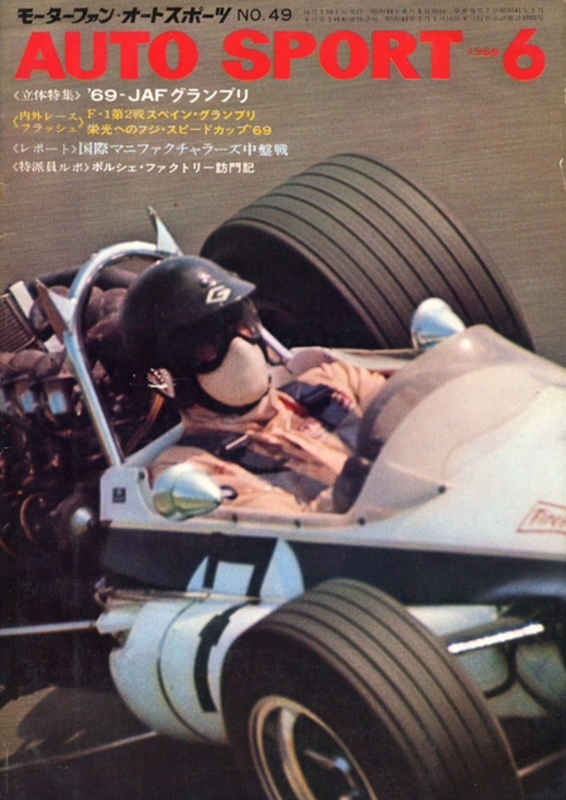 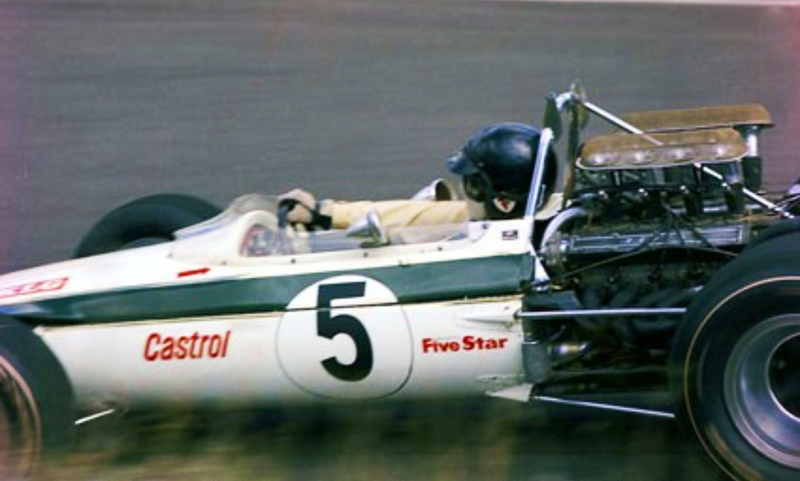 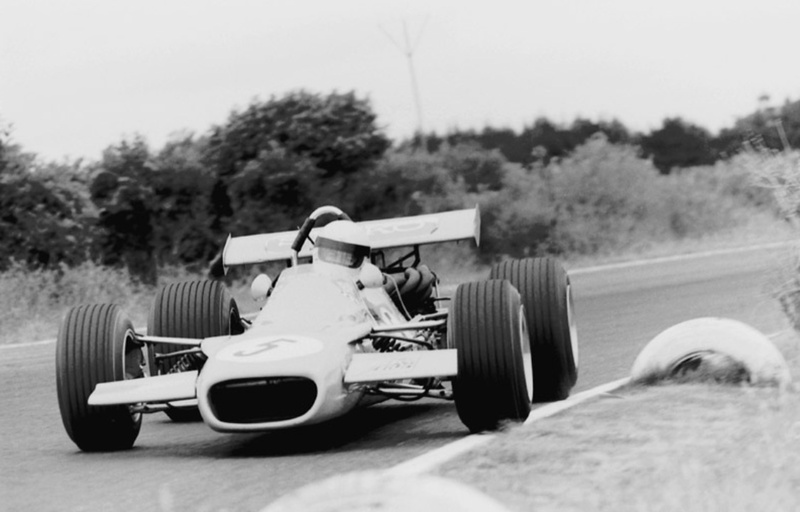 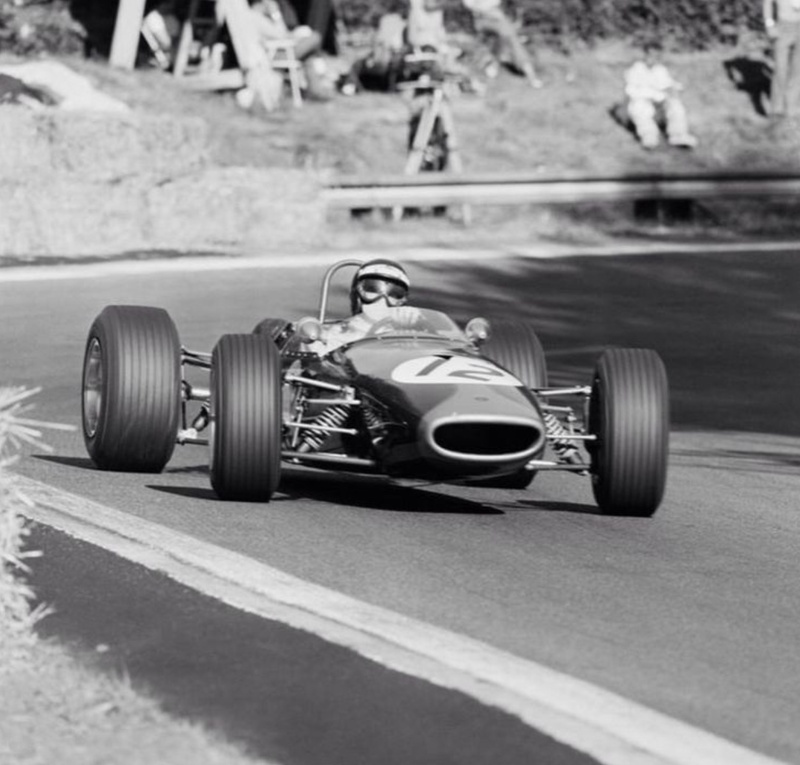 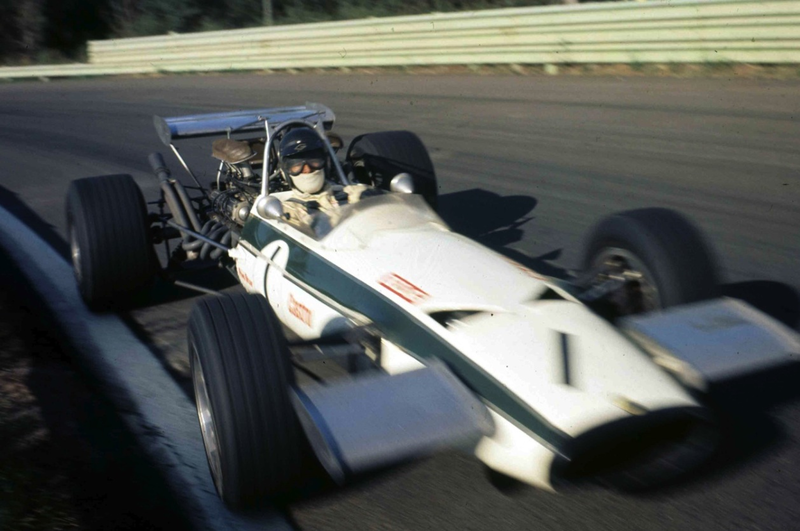 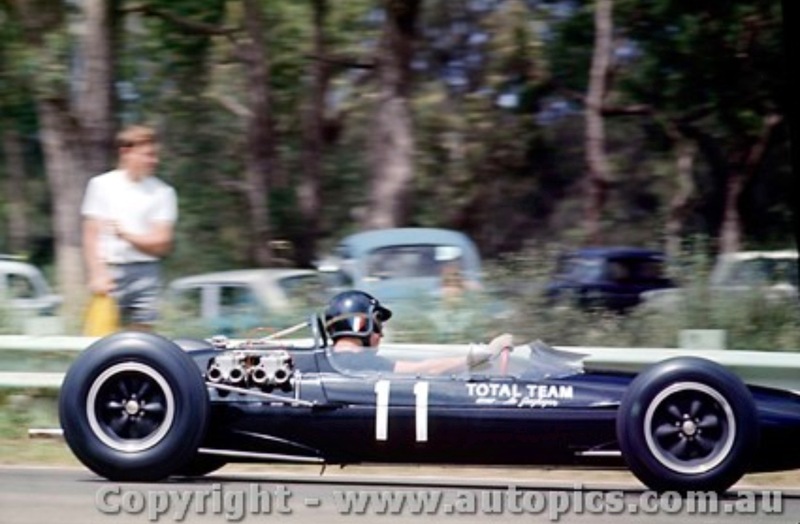 Internationally he won the JAF Japanese Grand Prix in his Lotus 39 Repco in 1969. 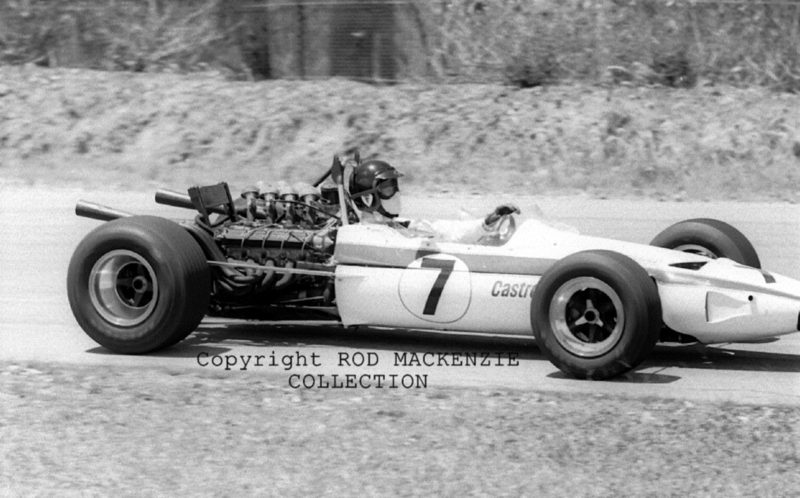 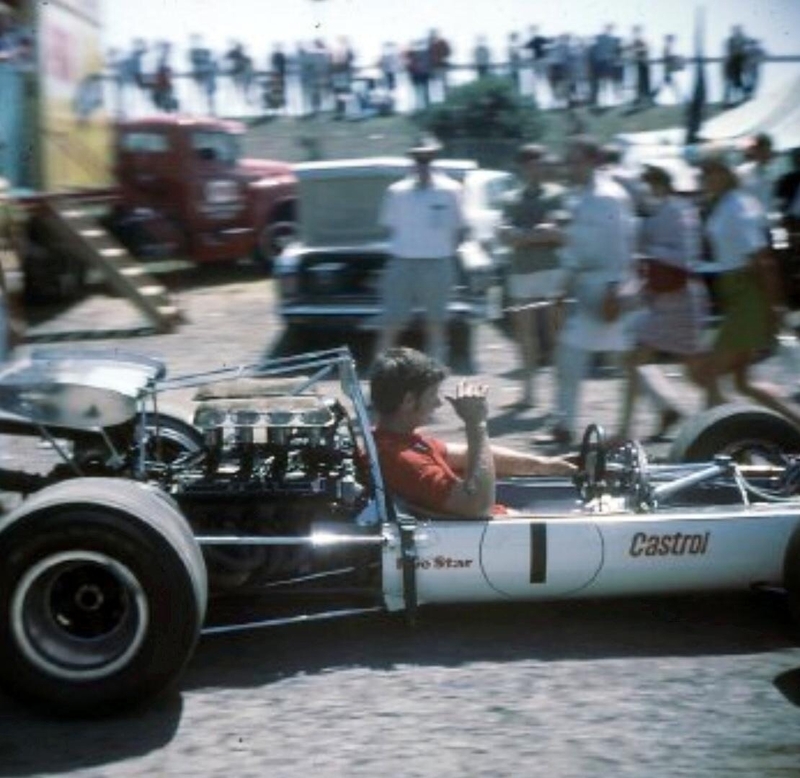 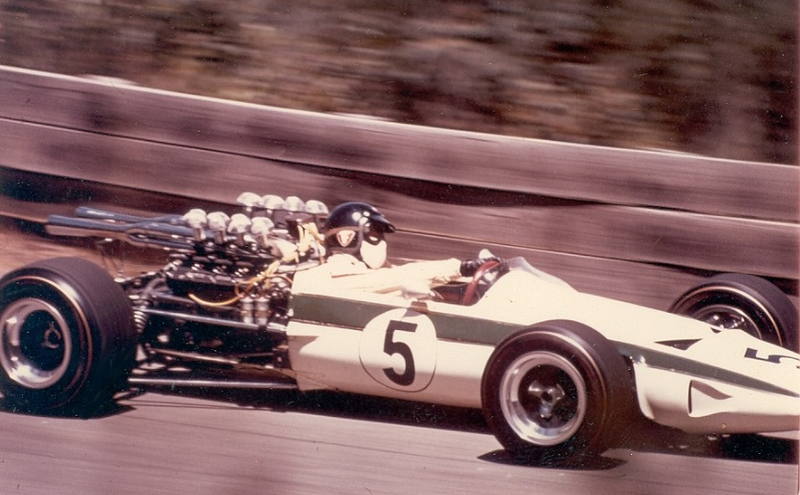 It was in this car, raced by Jim Clark in the 1966 Tasman Series in which Leo stepped into the premier 2.5 litre ‘Tasman’ class, initially Coventry Climax powered and later with Repco V8’s that Leo more than held his own against the visiting Internationals in what was progressively an older car. 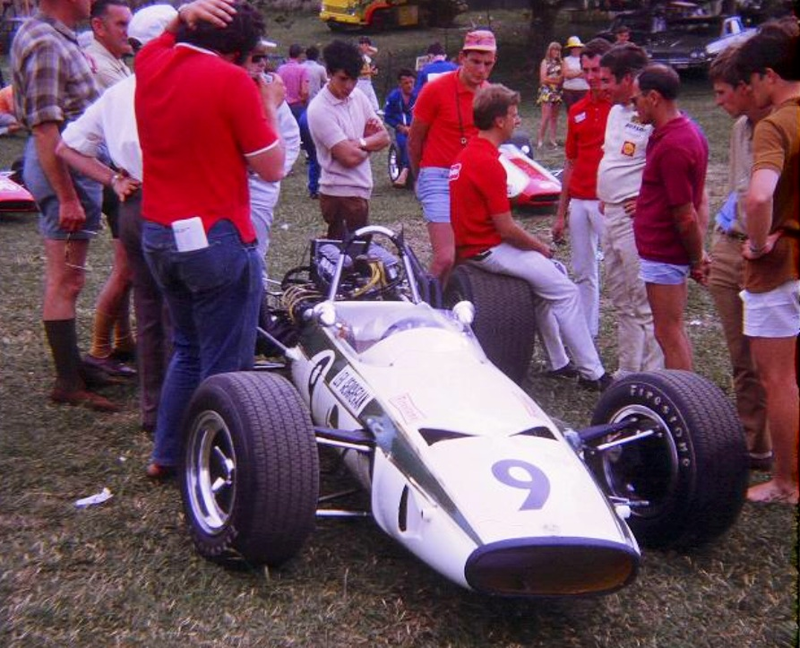 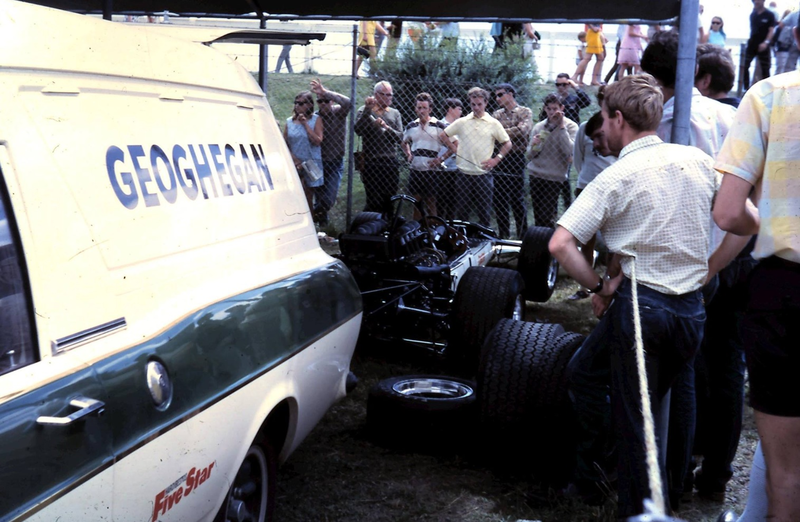 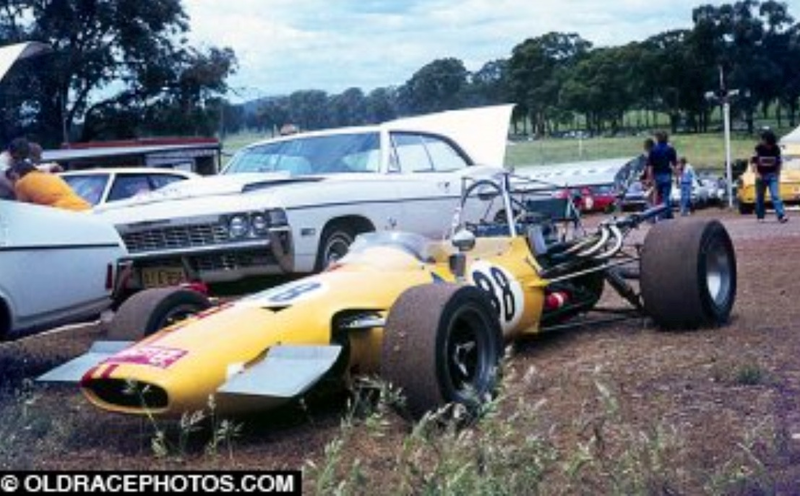 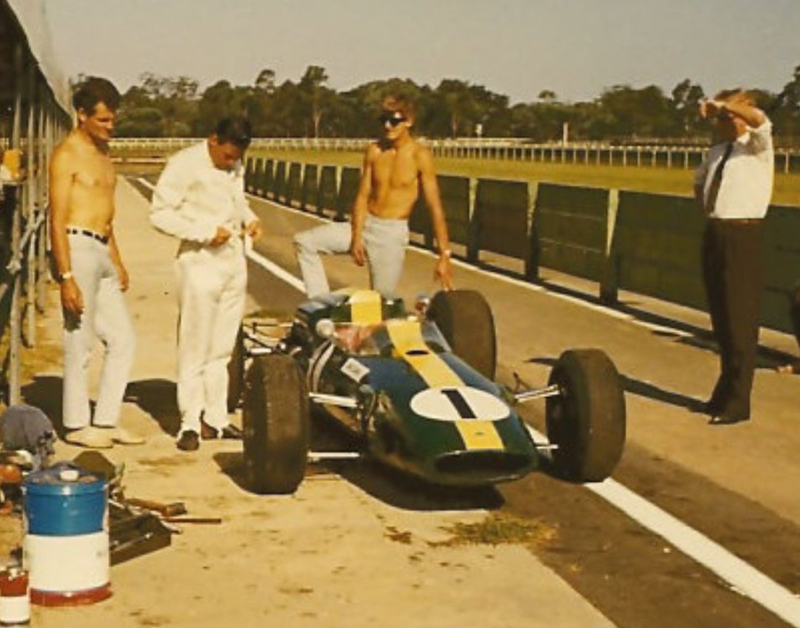 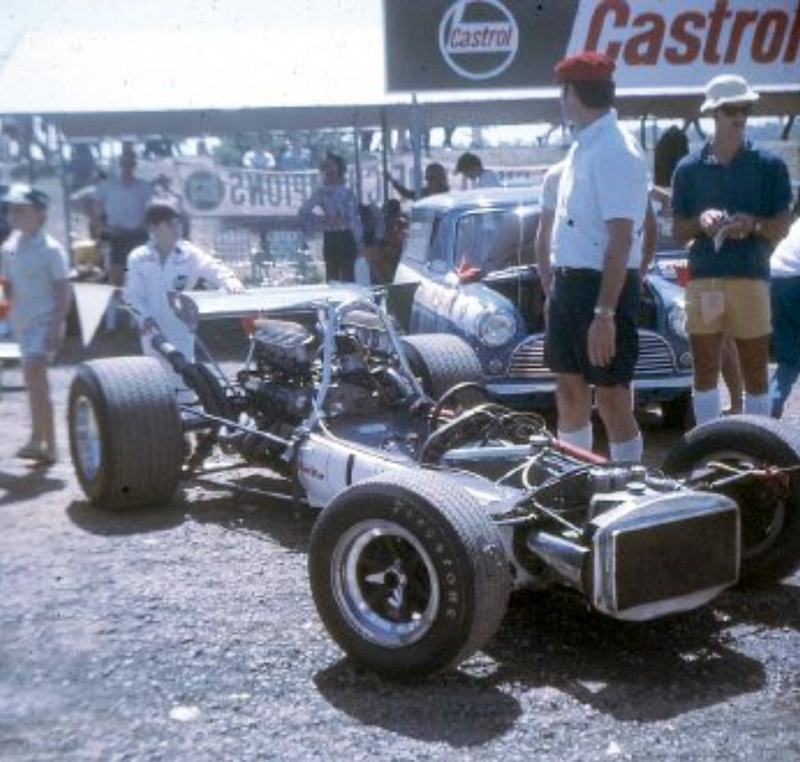 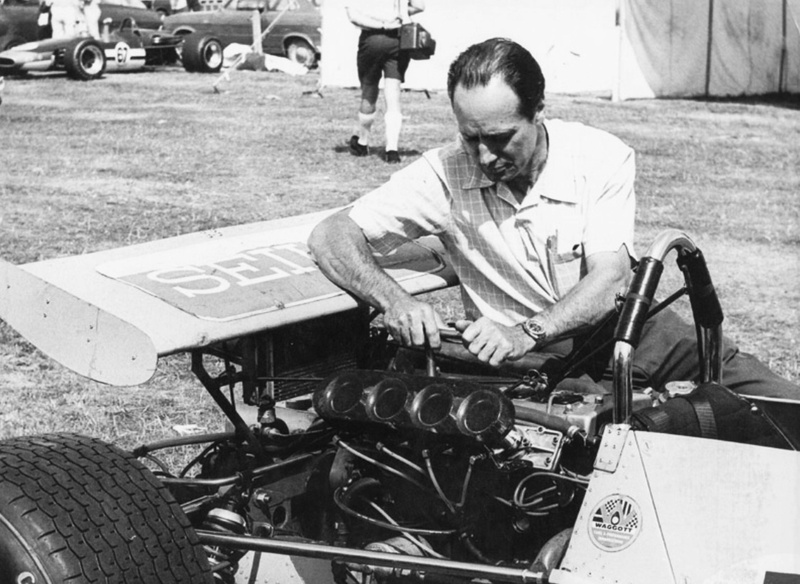 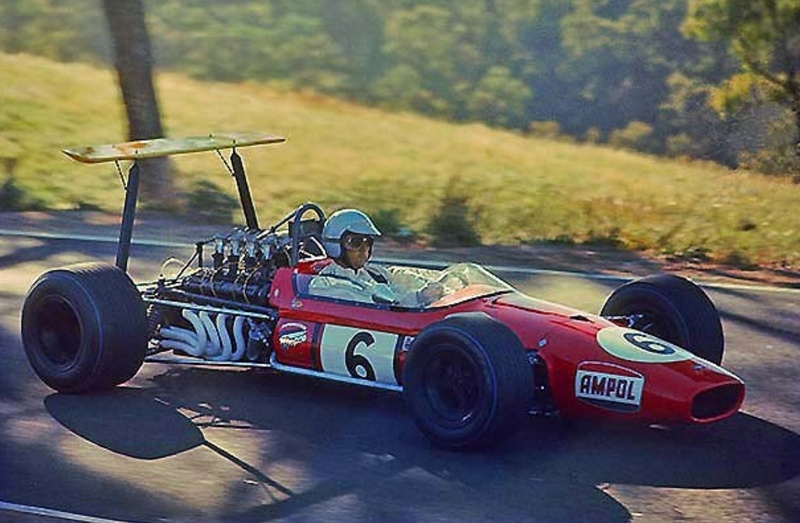 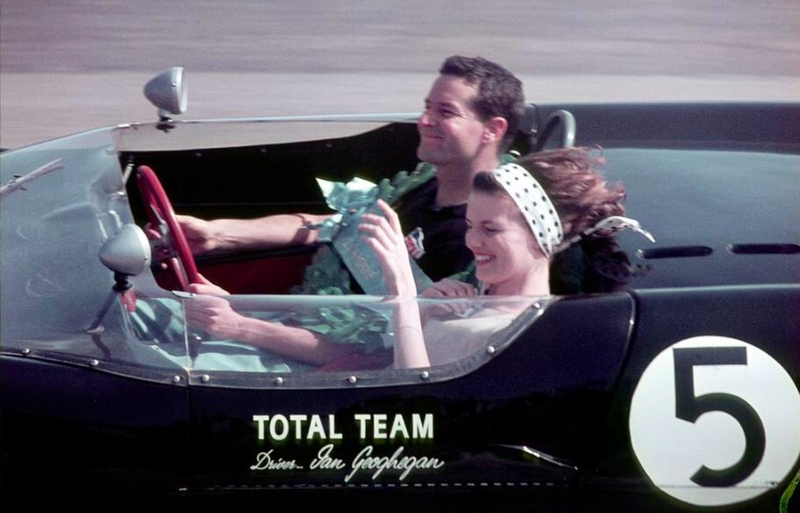 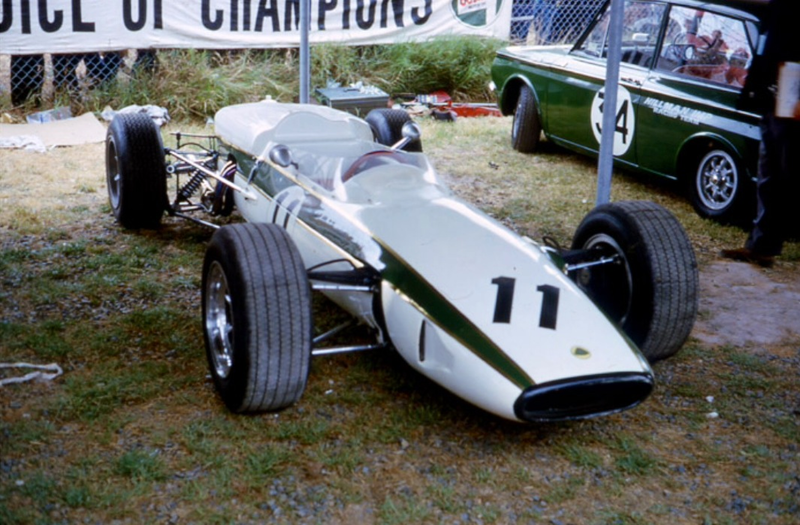 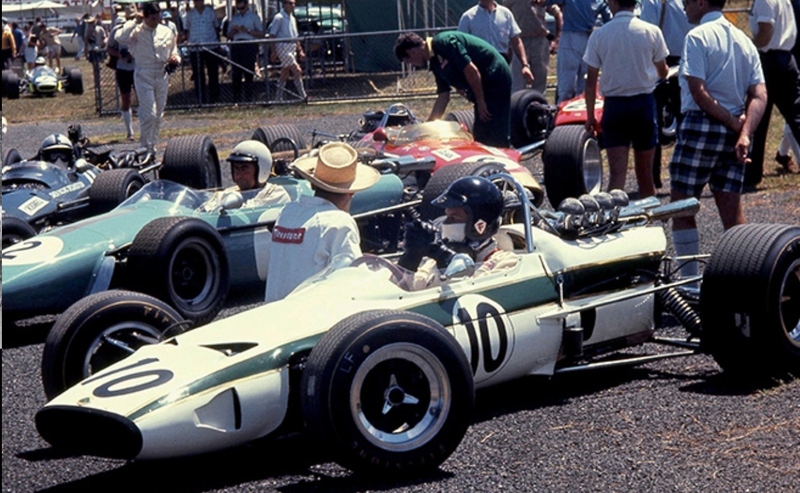 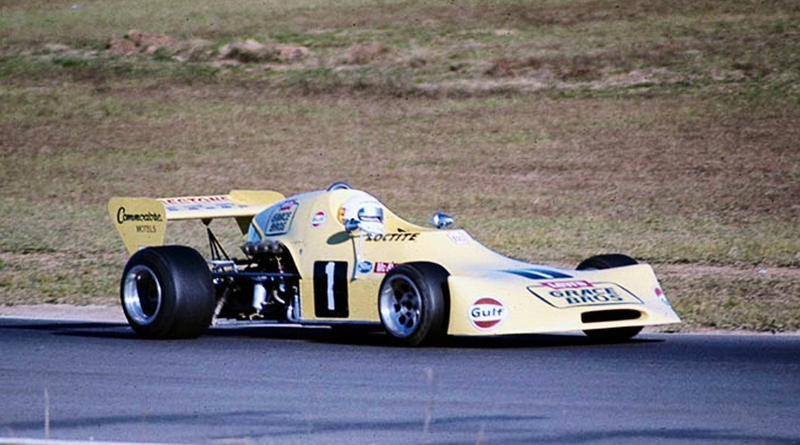 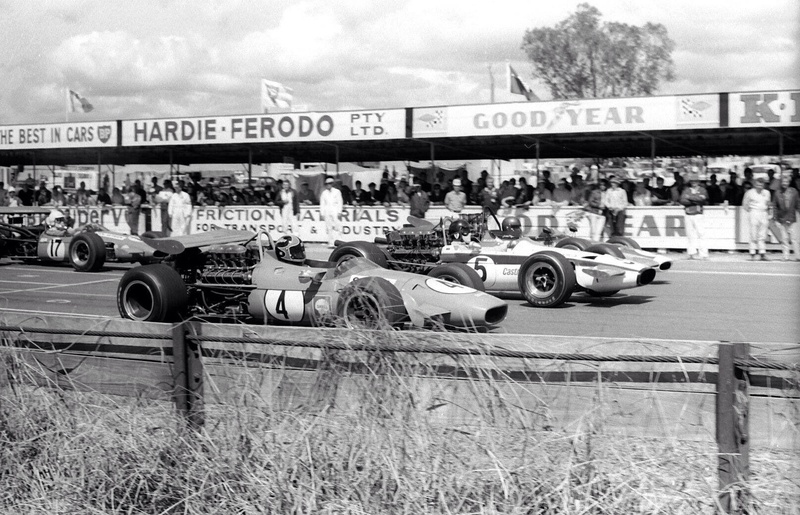 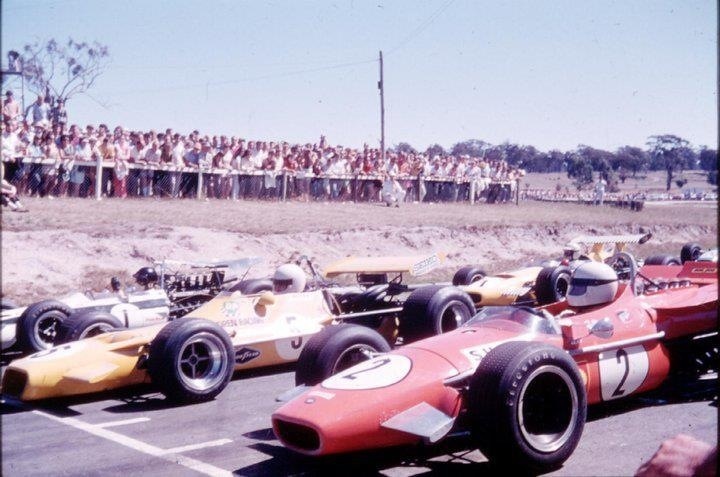 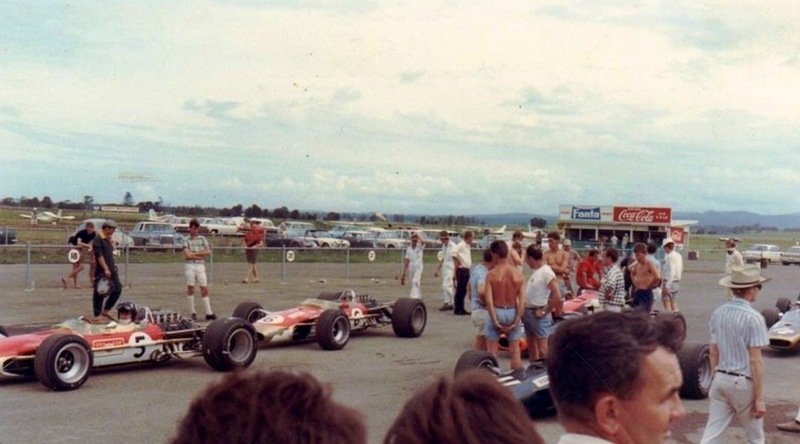 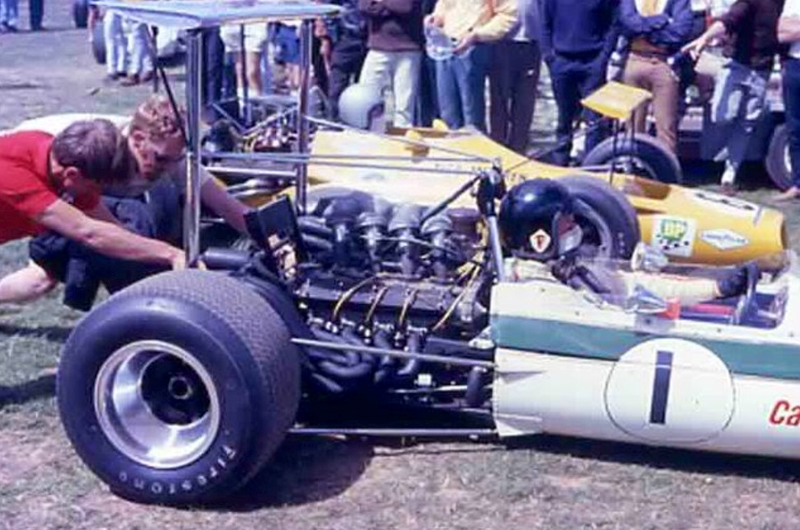 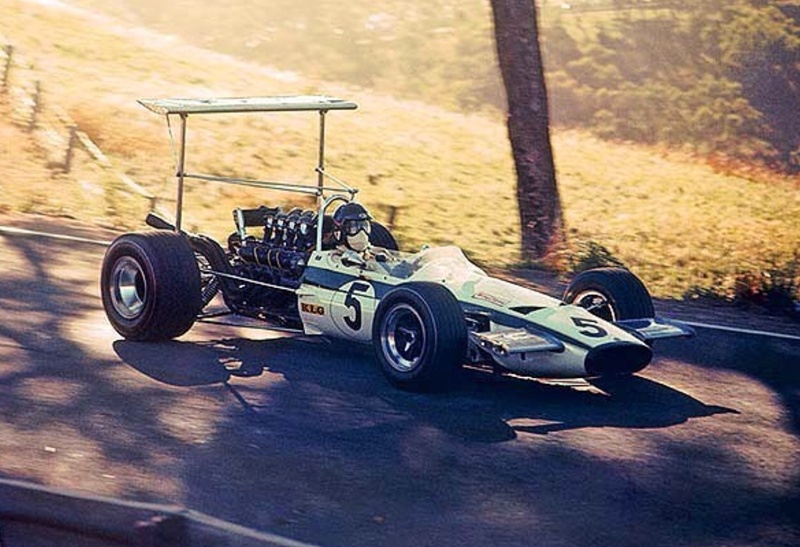 The Geoghegans’ held the Lotus franchise in Australia for many years, it was in a new Lotus 59 powered by one of Merv Waggotts’ 2 litre DOHC engines in which Leo finally won the Gold Star in 1970 after years of plugging away in the evergreen ’39. 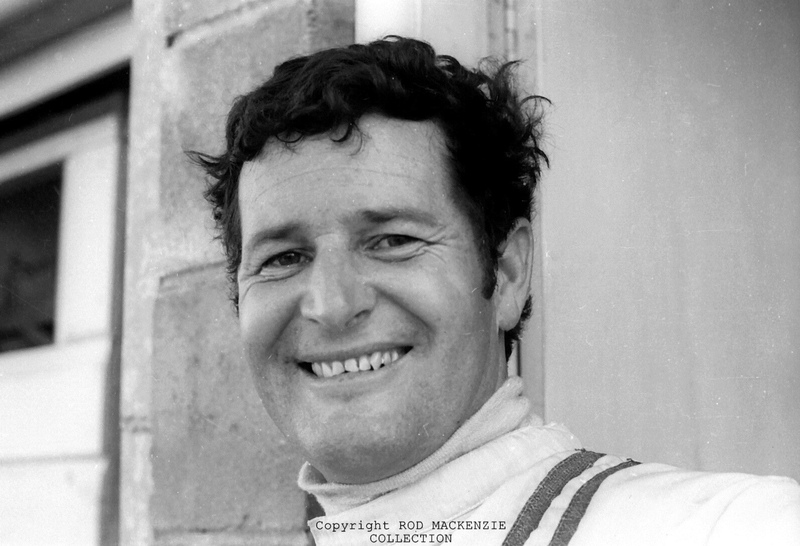 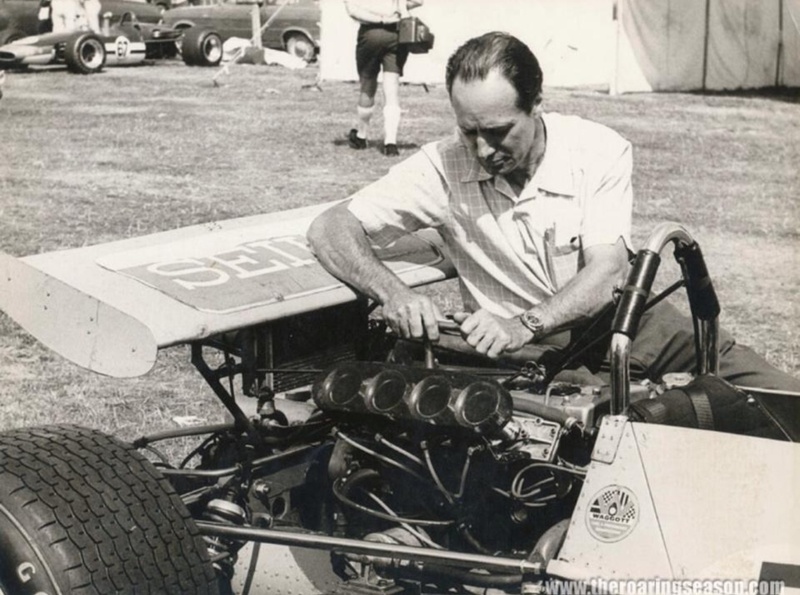 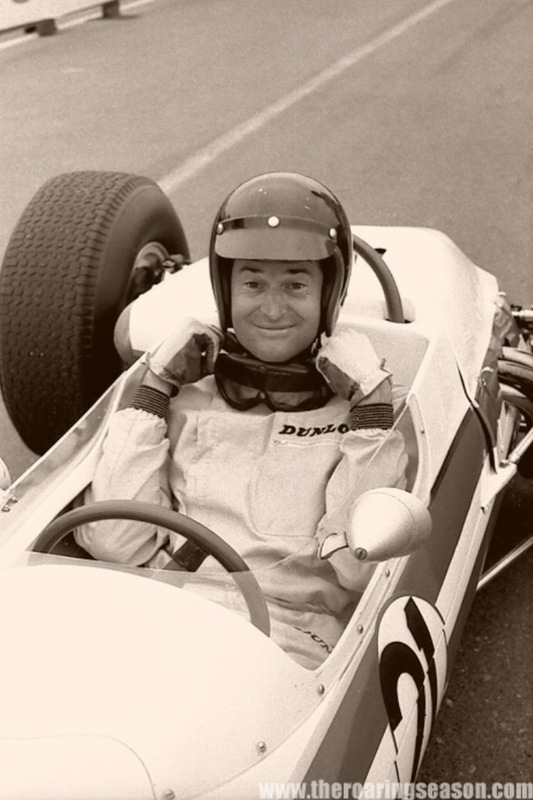 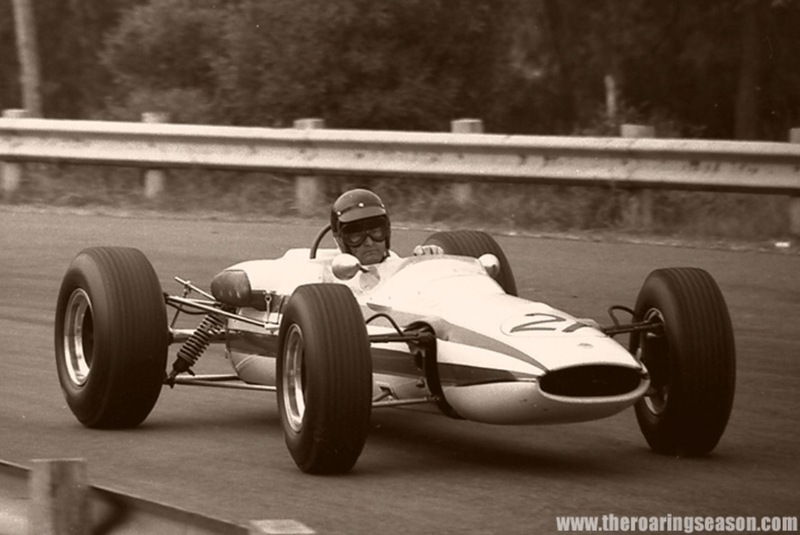 Leo and his brother Ian or ‘Pete’ were crowd favourites throughout the 60’s in particular, Leo mainly in open wheelers and Pete in Touring Cars in which he was 5 times Australian Champion. 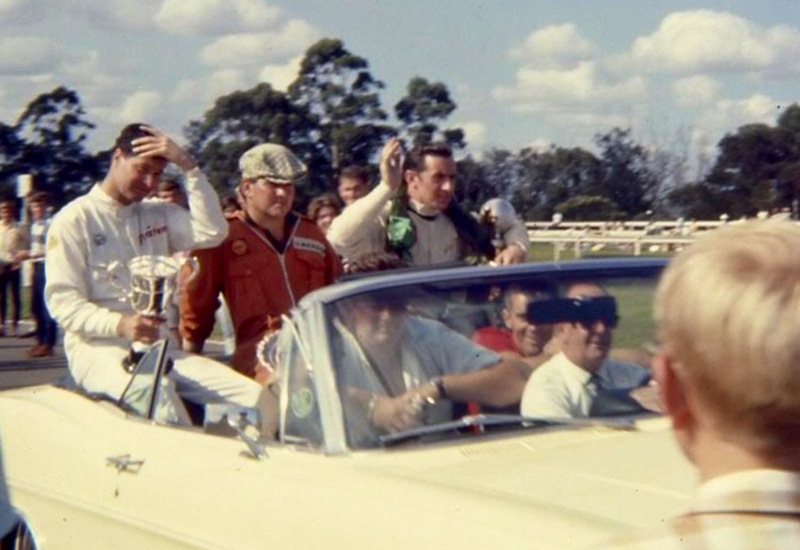 Most of you outside Australia (85% of you by the way) won’t be aware of the Geoghegans’, this lovely period movie by Castrol ‘The Racing Geoghegans’ positions them nicely into the pantheon of Australian Racing in their day. 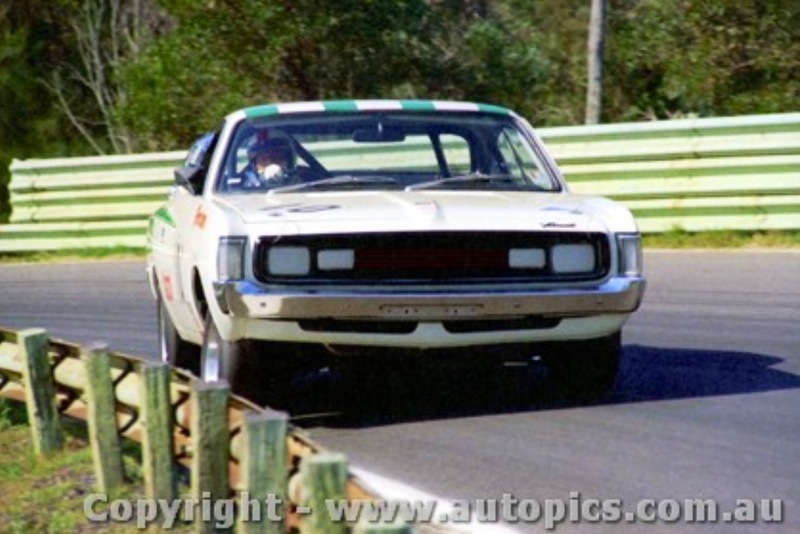 Leo was concentrating more on Touring Cars as the lead tester/driver for Chrysler into the early ’70’s in their Valiant Pacer/Charger ‘Series Production’ program but returned to open wheelers when offered the ‘works drive’ by Birrana’s Malcolm Ramsay, these jewel like cars a story in themselves, in AF2 in 1973 and in 1974. 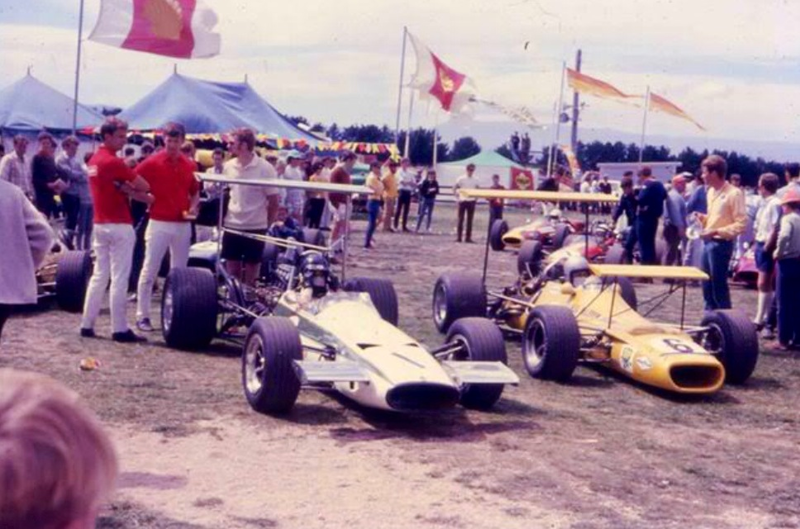 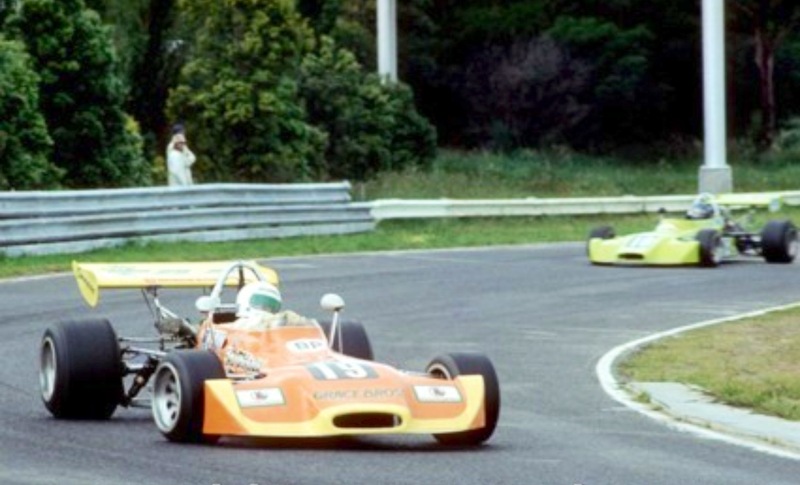 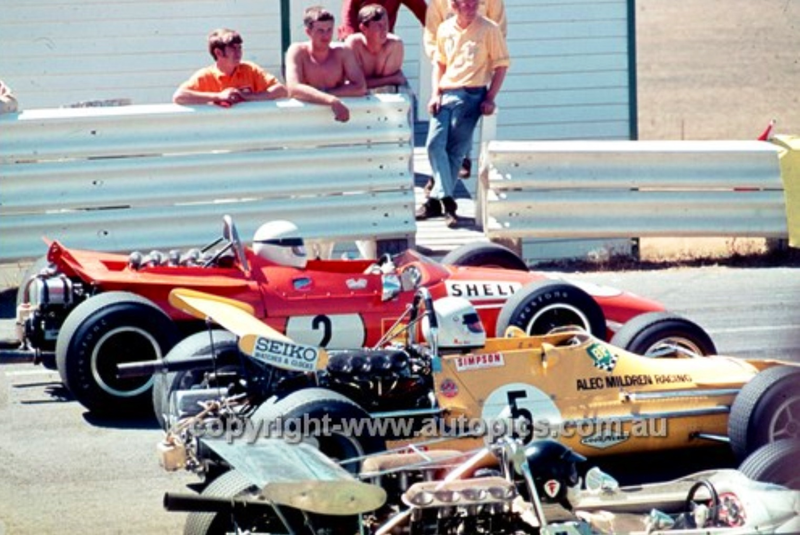 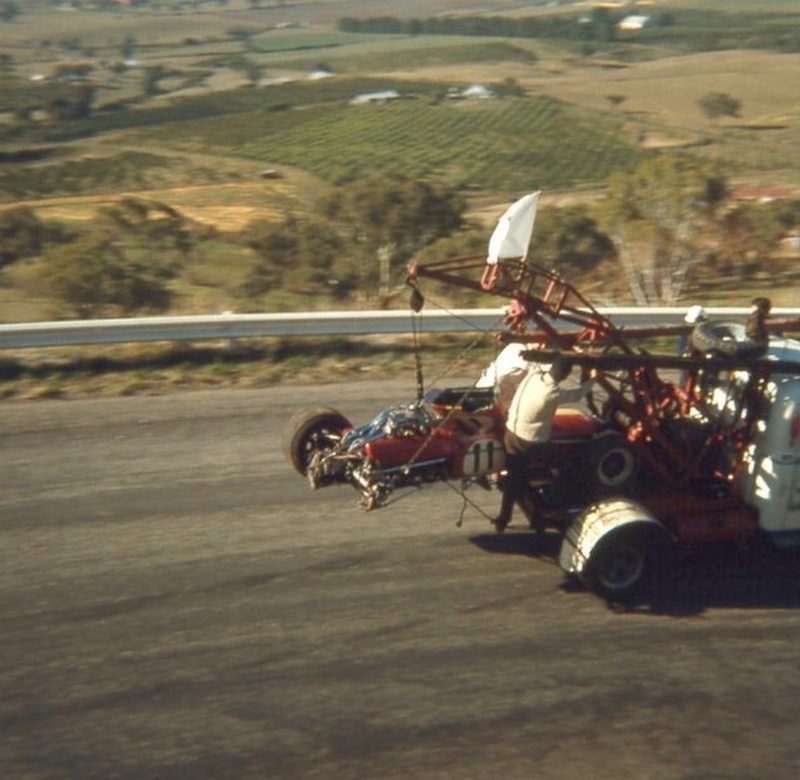 The 1974 AF2 series was one of the most competitive domestic Australian open wheeler championships ever (series sponsorship attracted both the top up and comers and F5000 stars) Leo winning the title against the very best…to watch him in these cars, I didn’t get to see him in his Tasman days, was to see a bloke at the top of his game, a very smooth, precise line driver and aggressive with it. 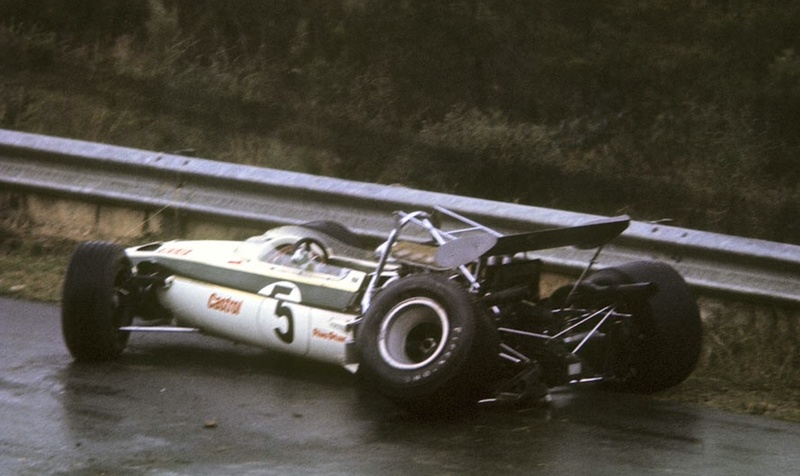 His battles with Bob Muir in another Birrana in ’74 spring to mind especially a very soggy Calder. 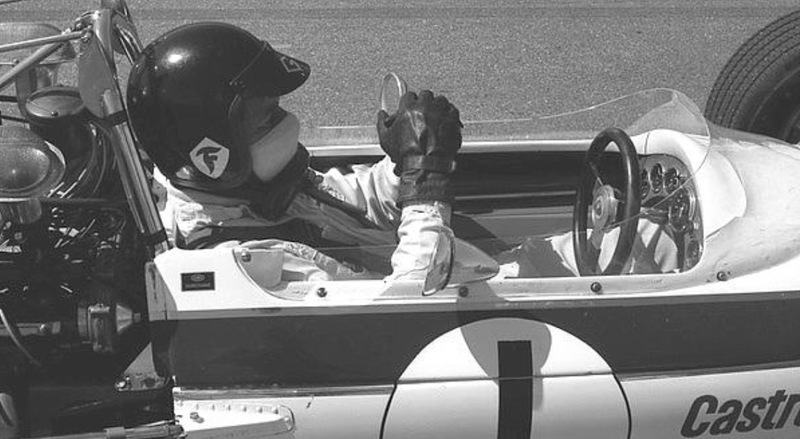 A magic driver for sure. 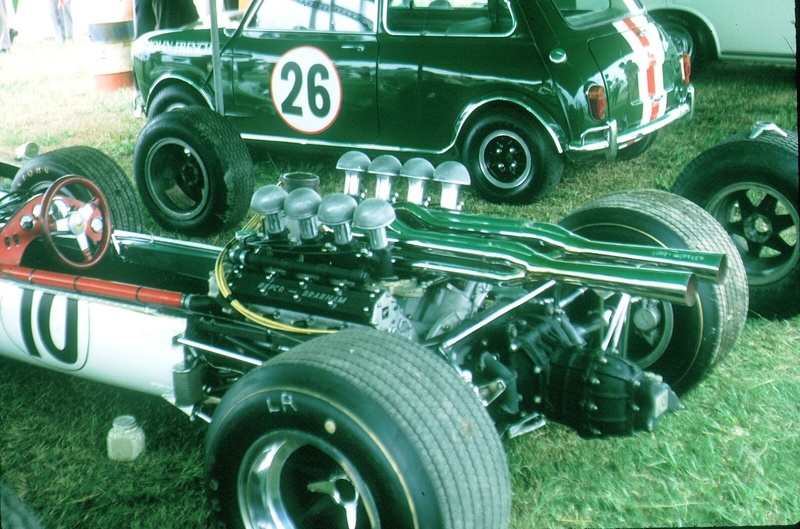 Ray Bell ‘in period’ journalist with ‘Racing Car News’ had this to say about Leos’ commitment and precision, writing in ‘The Nostalgia Forum’ in 2002. 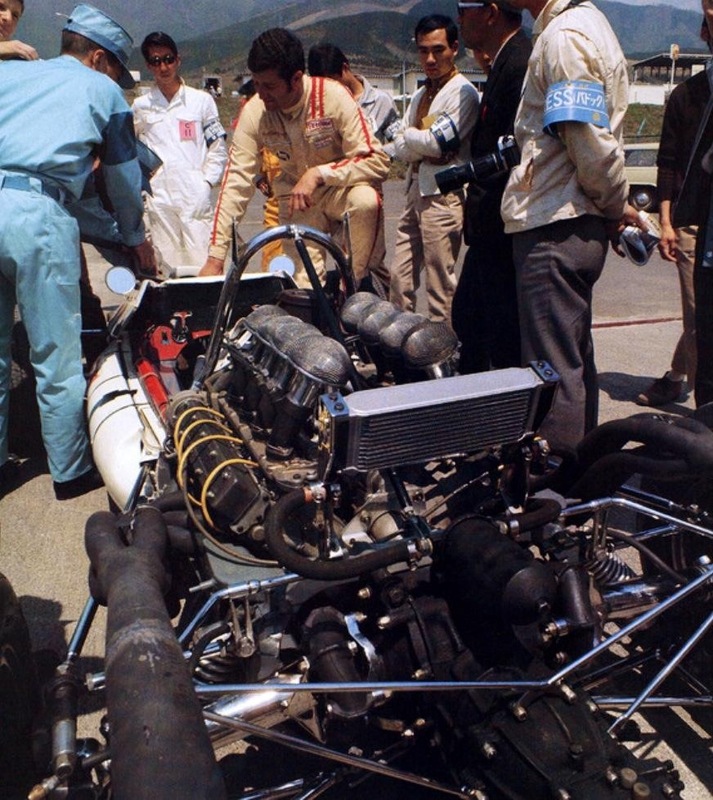 ‘It’s time to look at Leo a little more closely. 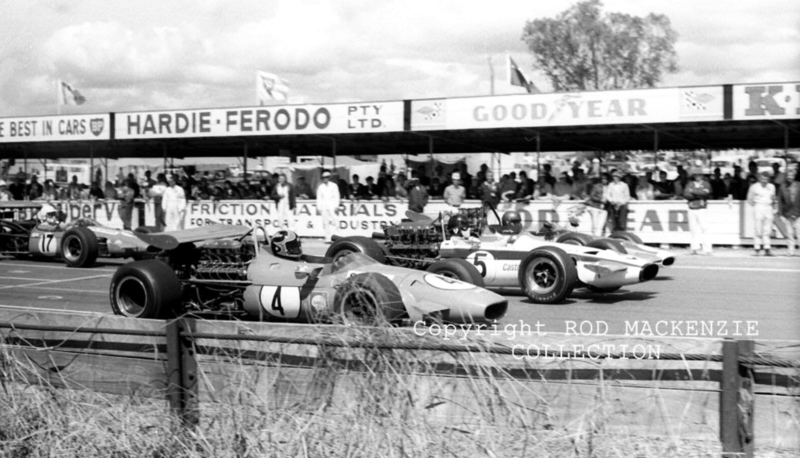 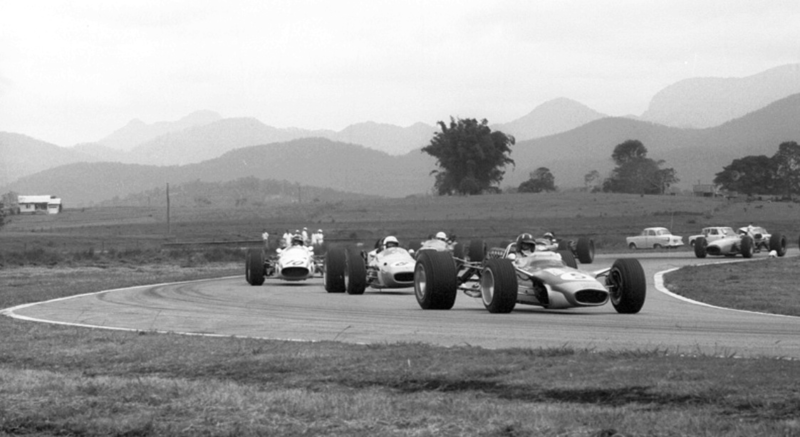 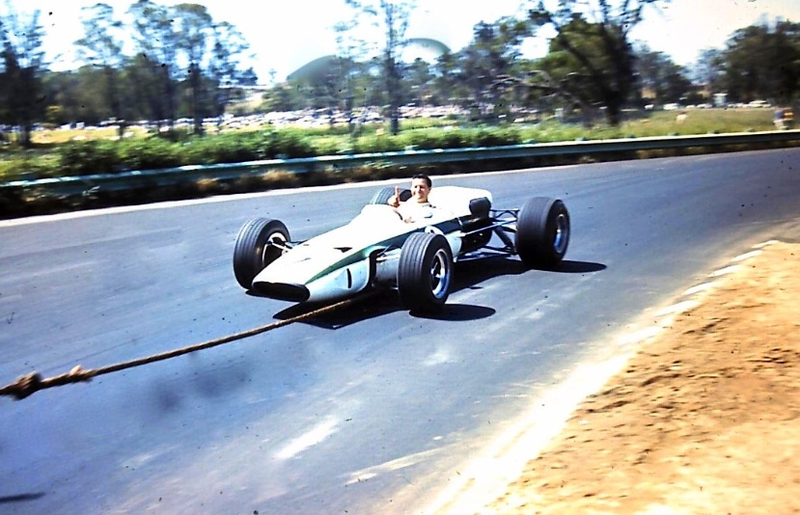 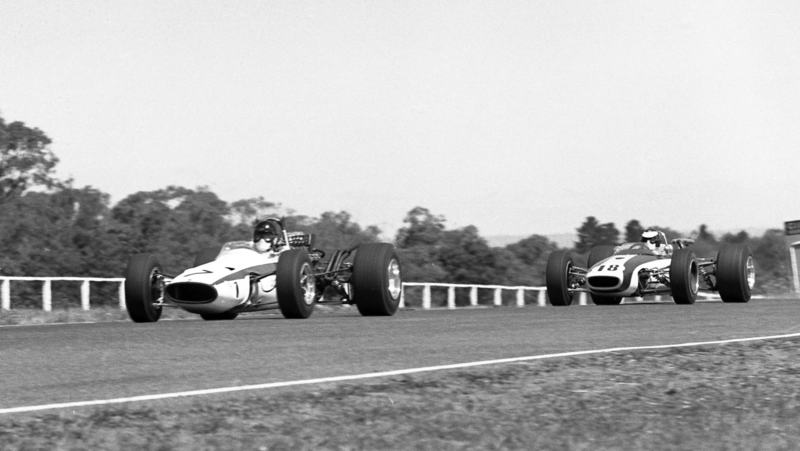 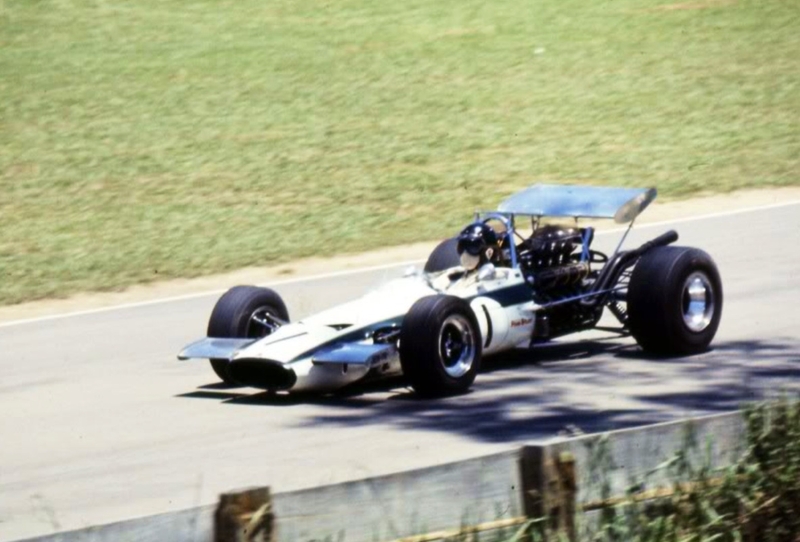 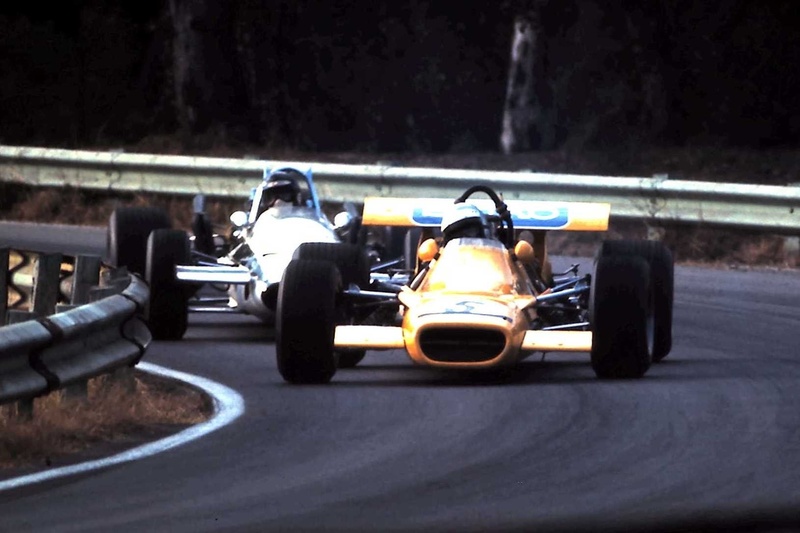 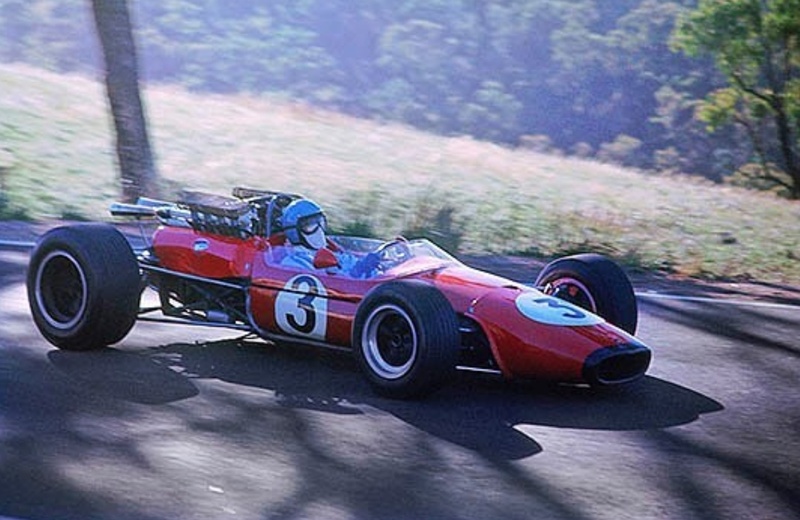 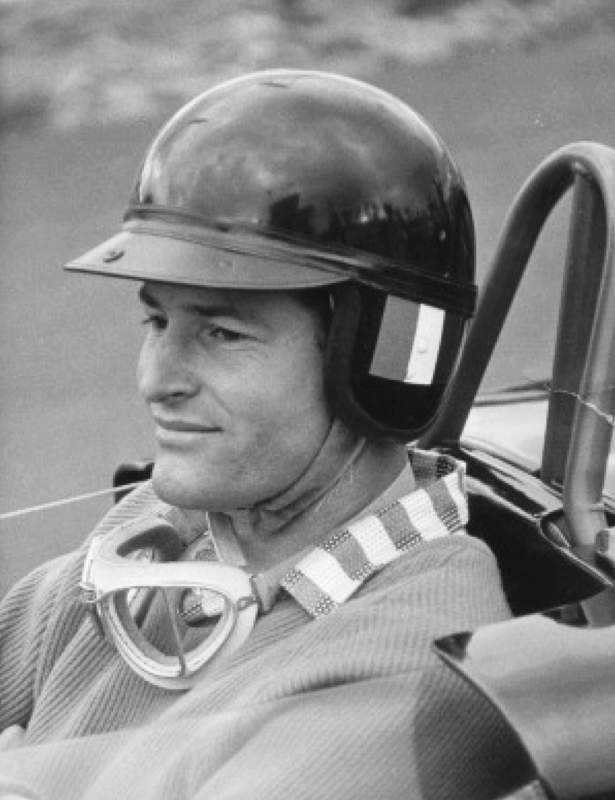 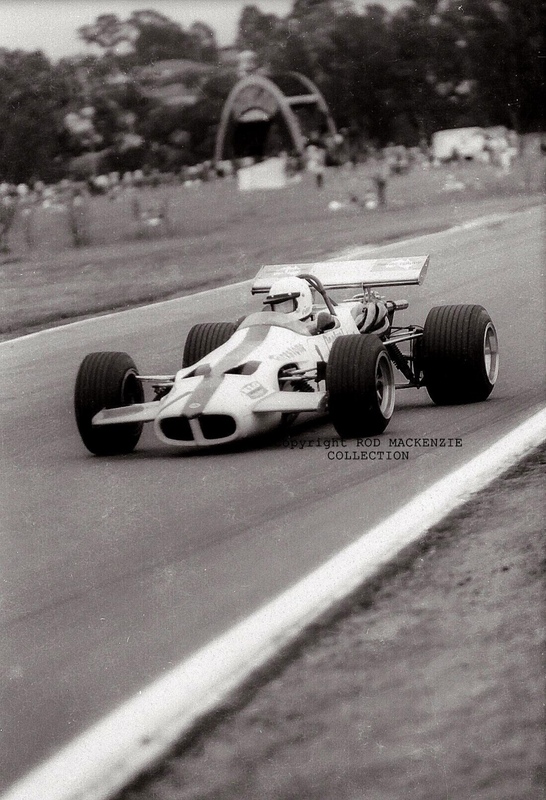 Maybe at Warwick Farm, his real home circuit and in the Lotus 59, equipped with a nice toey Waggott TC4V engine and good enough to win him the Gold Star… let’s wander over to Homestead Corner… the cars are whistling through, taking that line that clips the two apexes and is so important for their speed down Hume Straight. 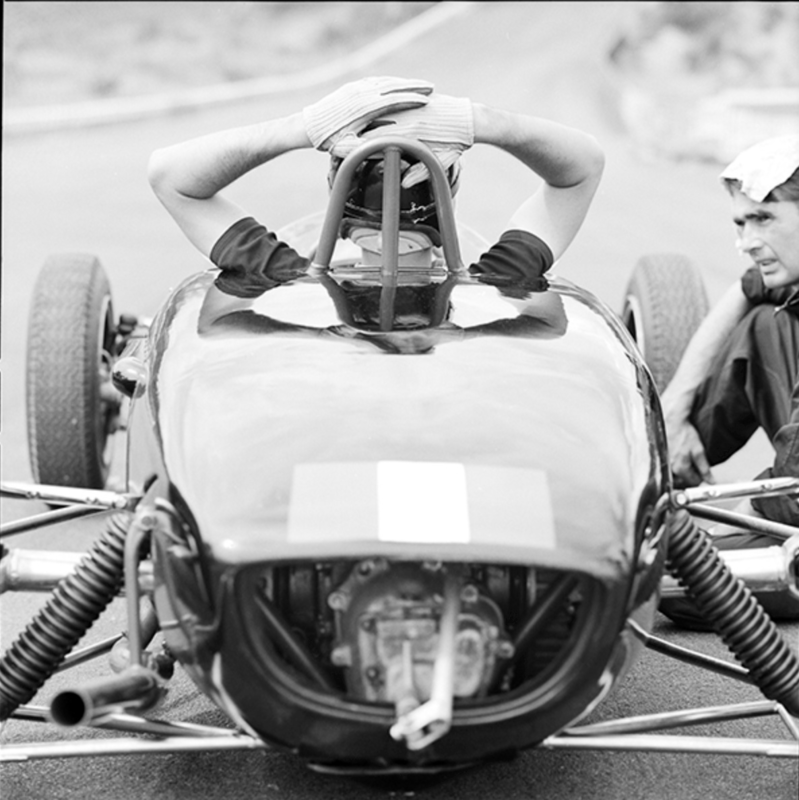 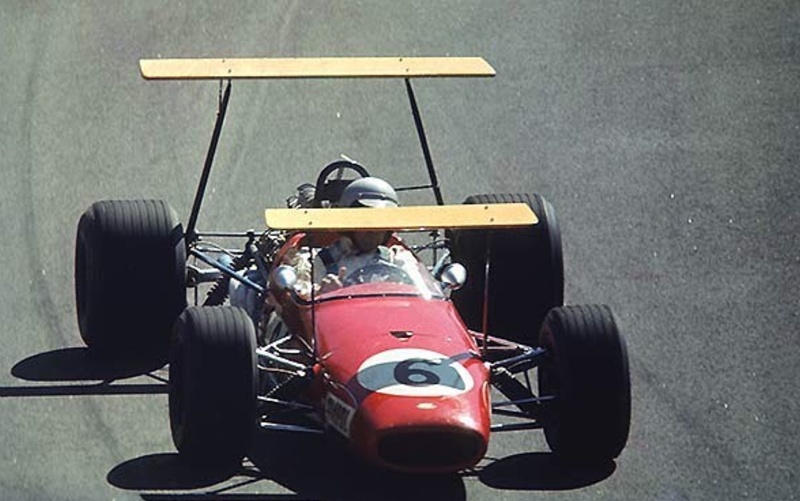 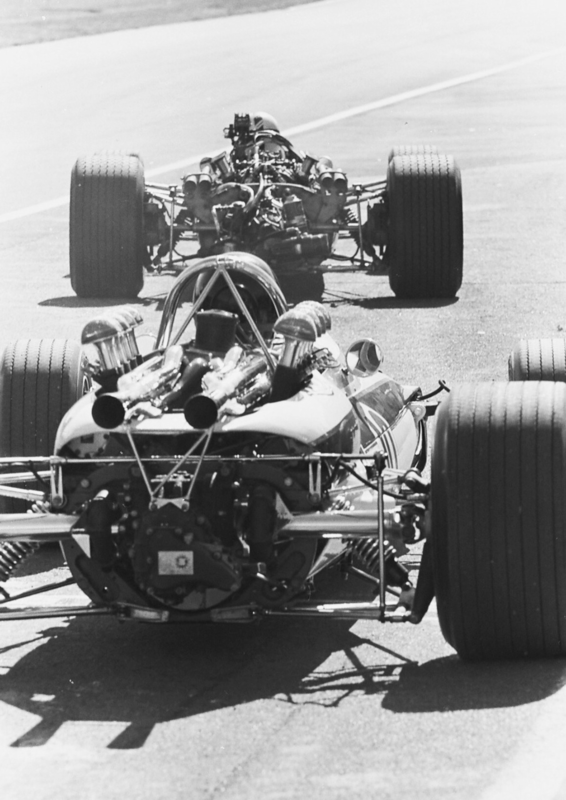 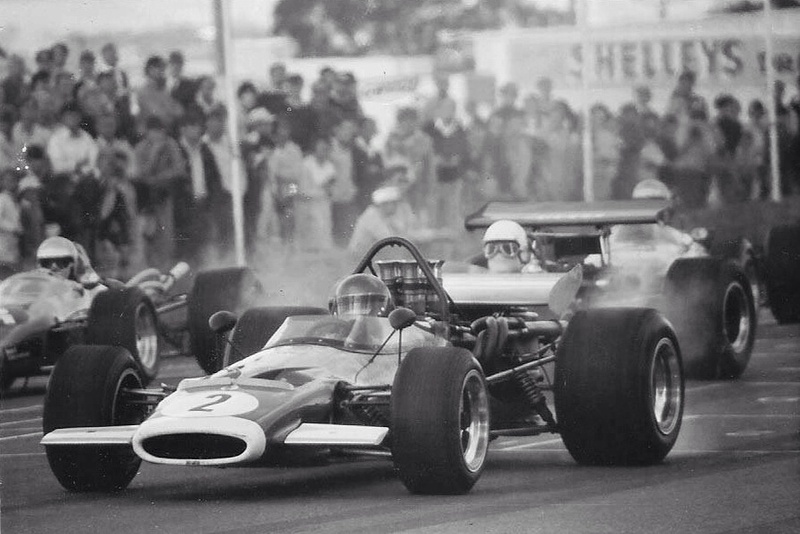 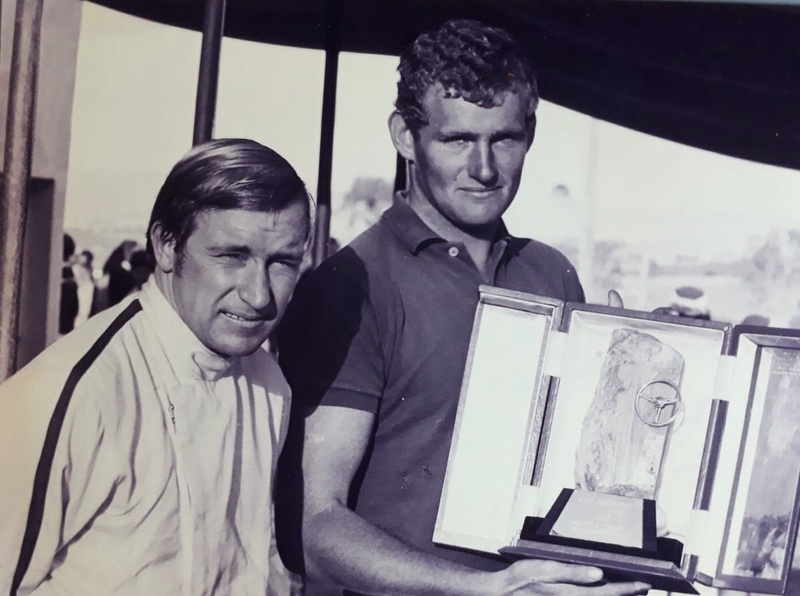 Wonderful ‘Alec Mildren Racing’ film about the 1969 JAF GP won by Leo Geoghegan and contested by several Australians including the Mildren Racing pair, Kevin Bartlett and Max Stewart. 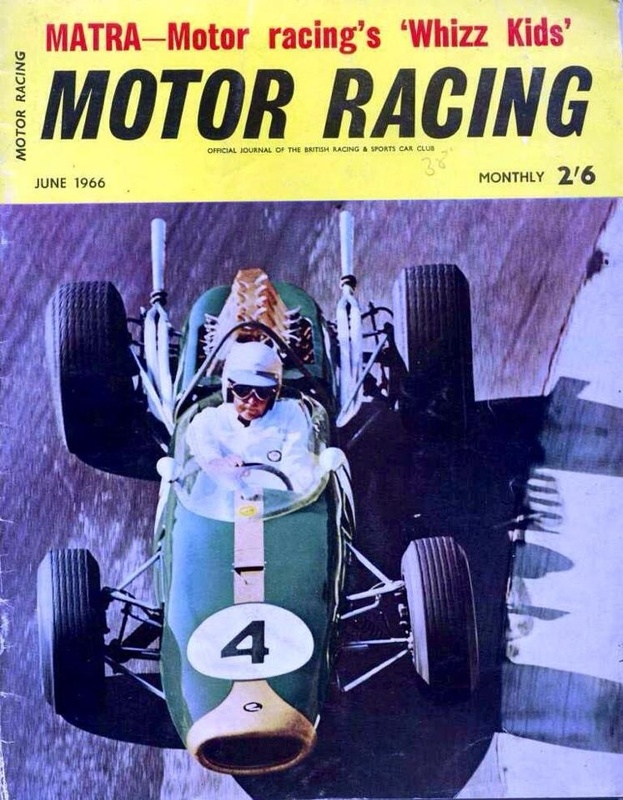 Leo G in his Lotus 39 Repco & Chris Amon Ferrari Dino 246T on the cover of MRA 1968. 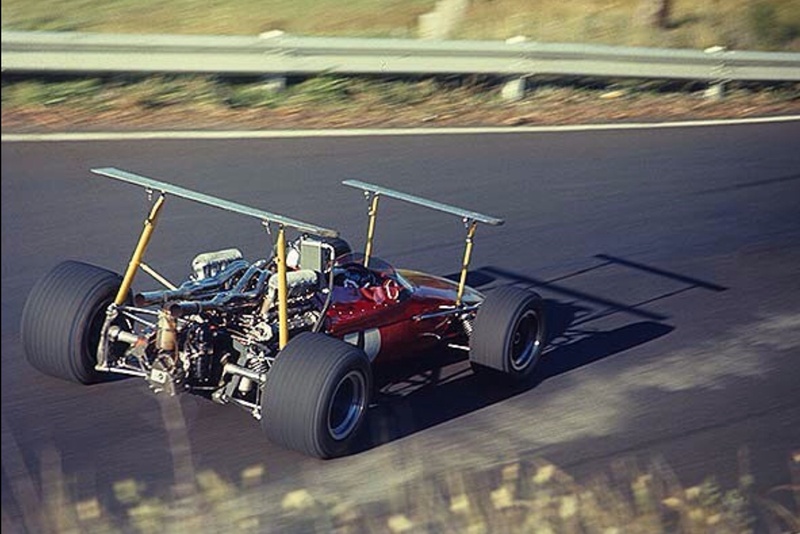 In this form the car was about as good as a 60’s open-wheeler looked. 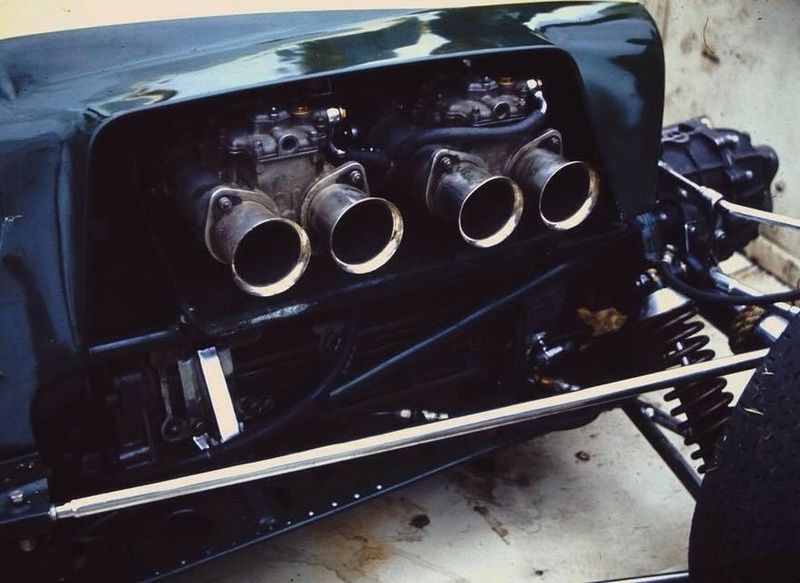 The conversion from Coventry Climax 2.5 FPF to Repco ‘740 Series’ 2.5 Tasman V8 was done by Geoghegans’ crew lead by John Sheppard, the marriage between chassis and engine superbly executed.